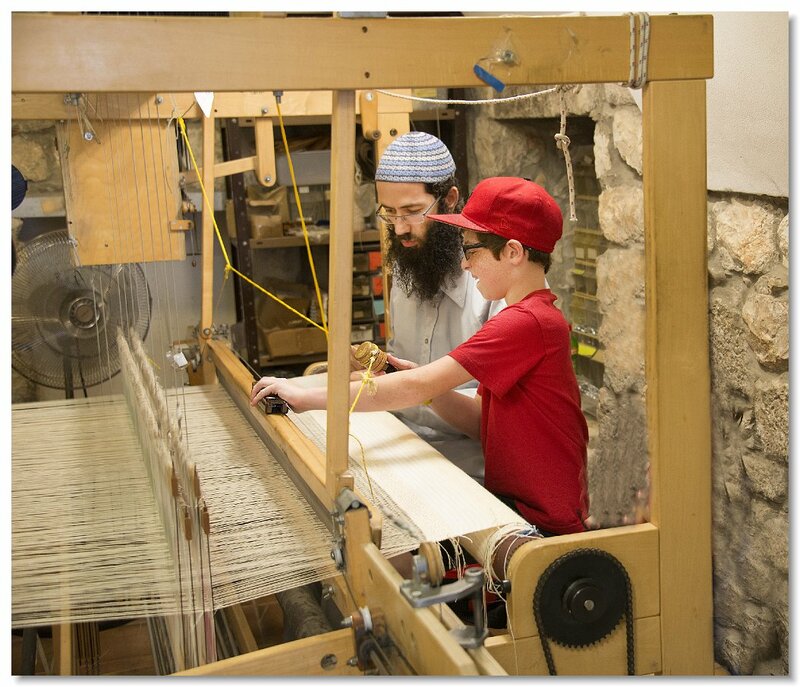 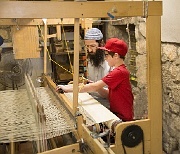 The Talit is a hand woven one that was made on this loom. 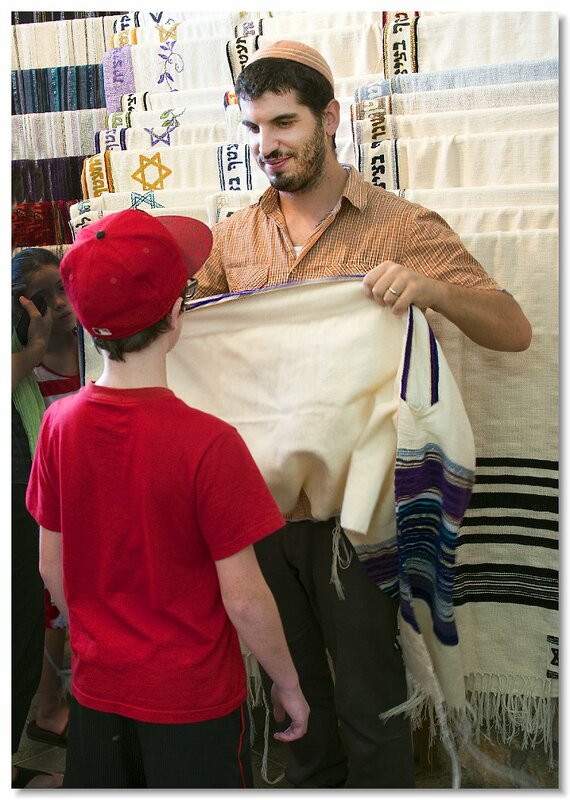 Jordan gets to try his hand at weaving. 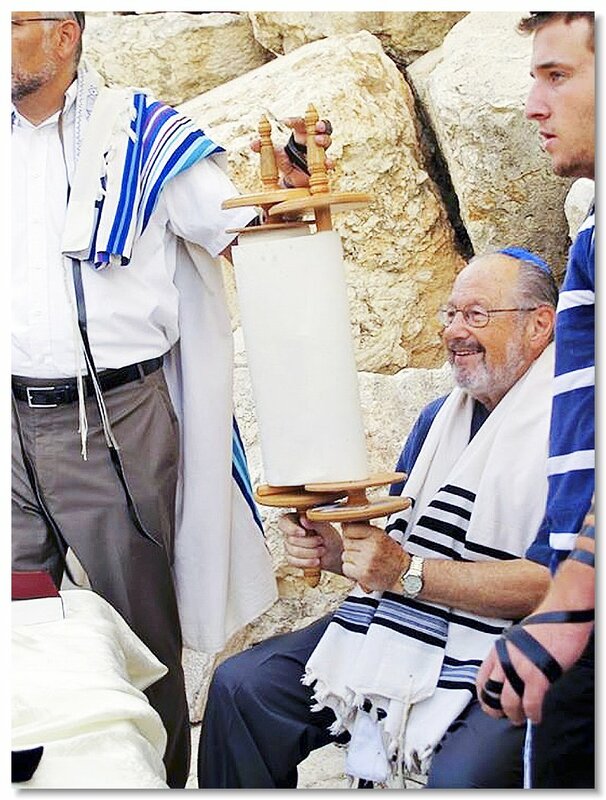 Guess who gets to pay for it? 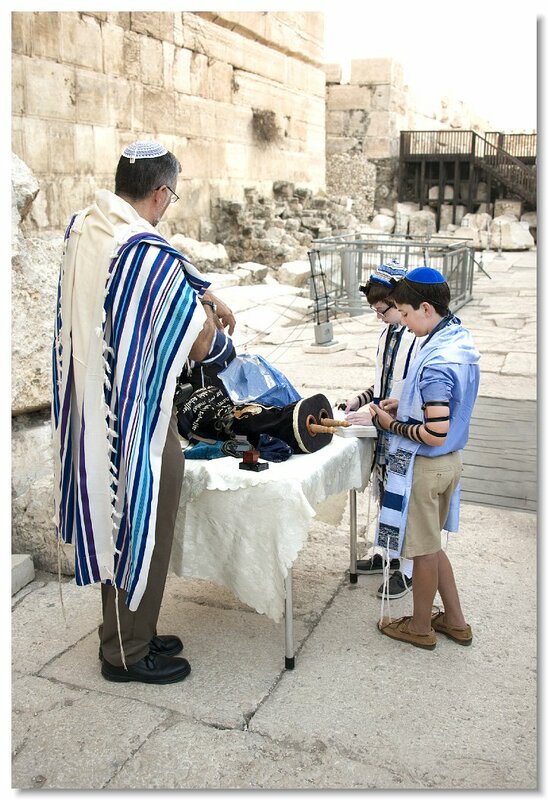 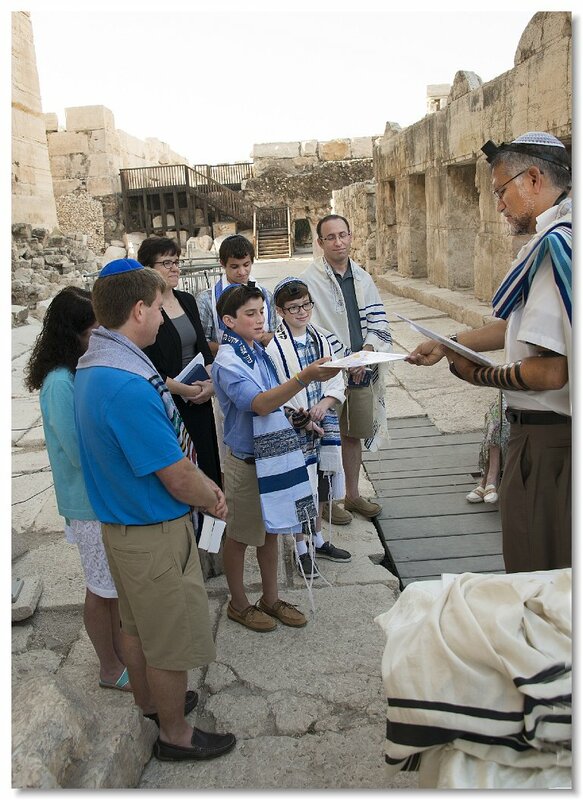 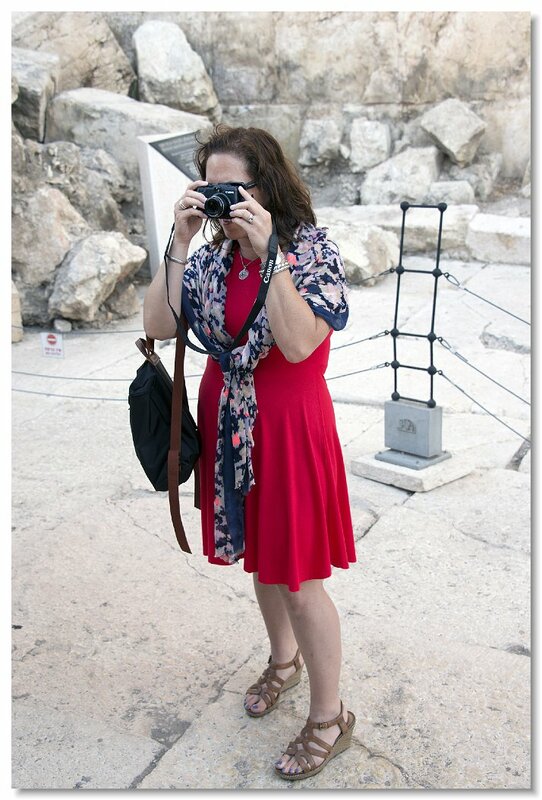 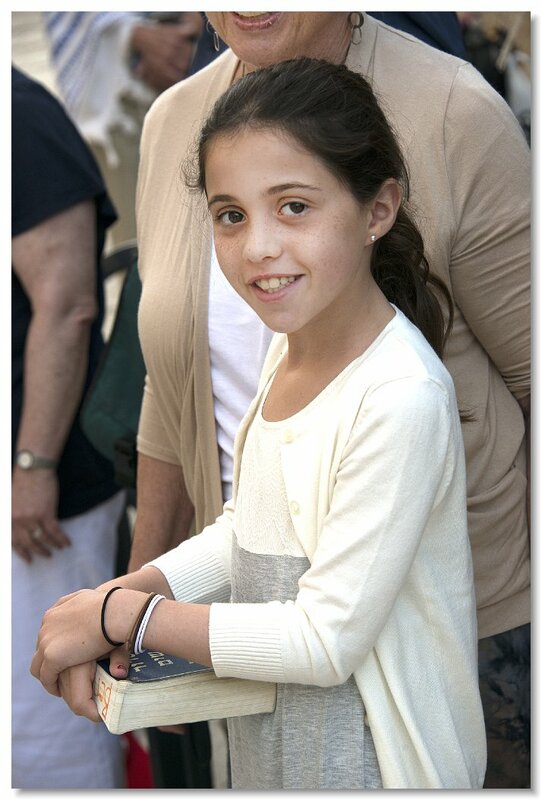 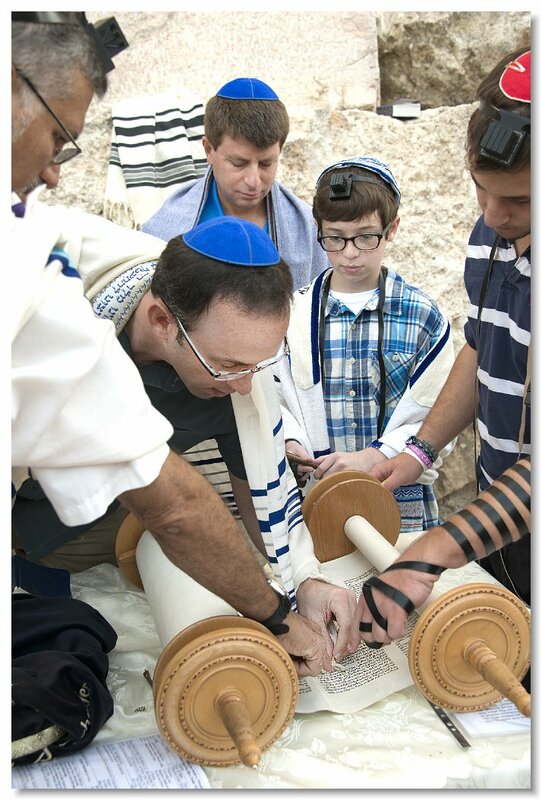 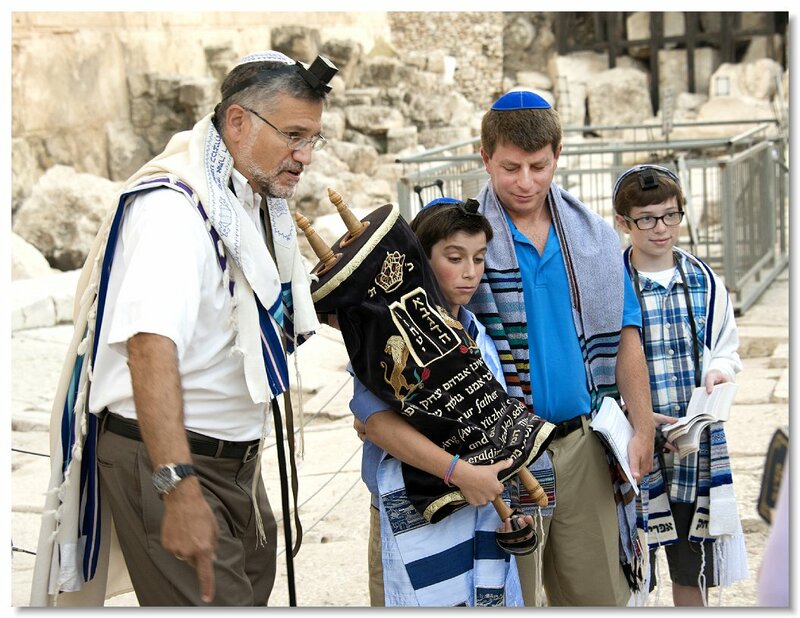 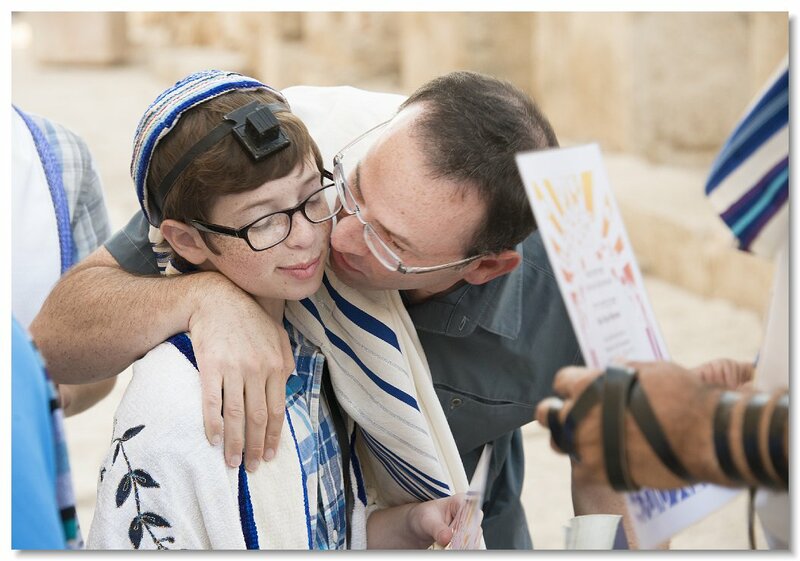 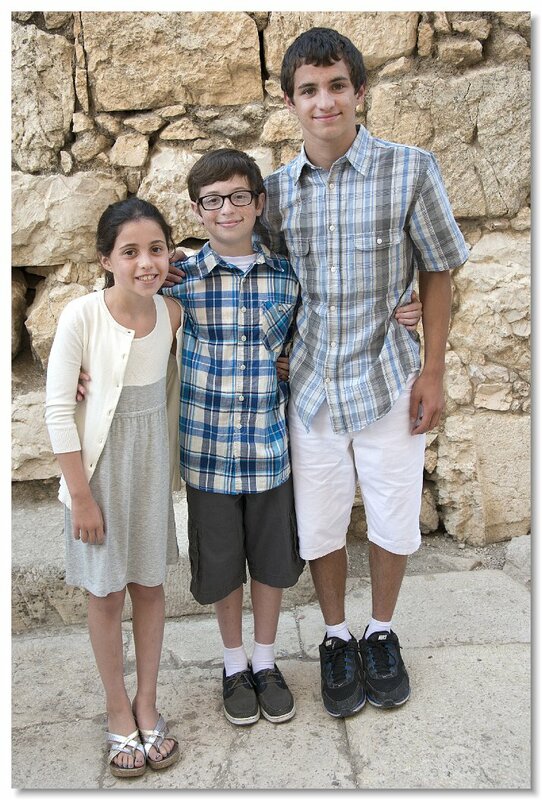 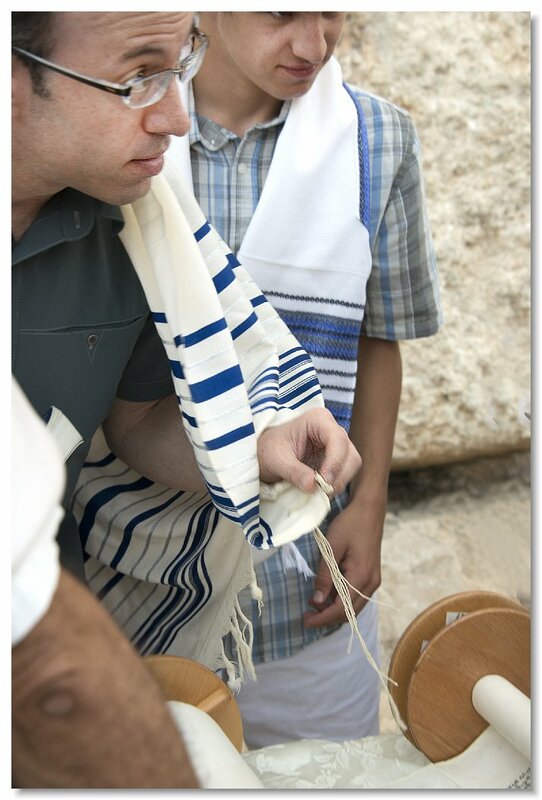 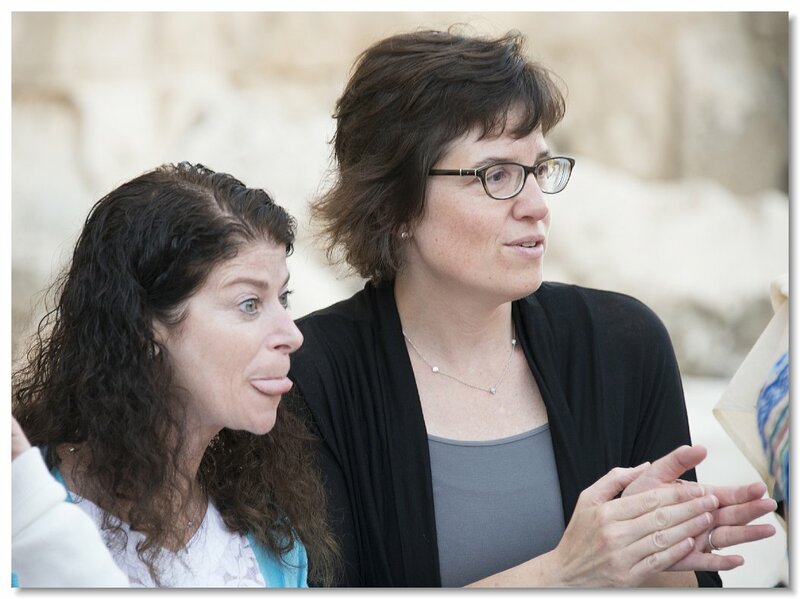 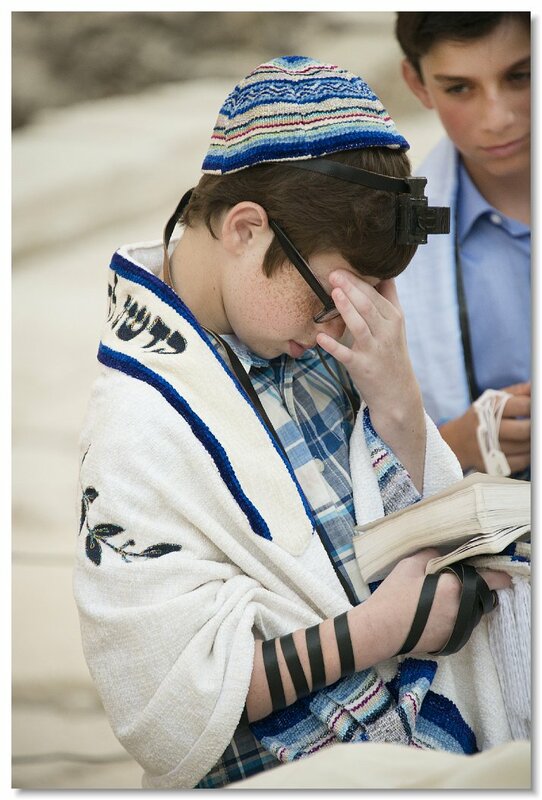 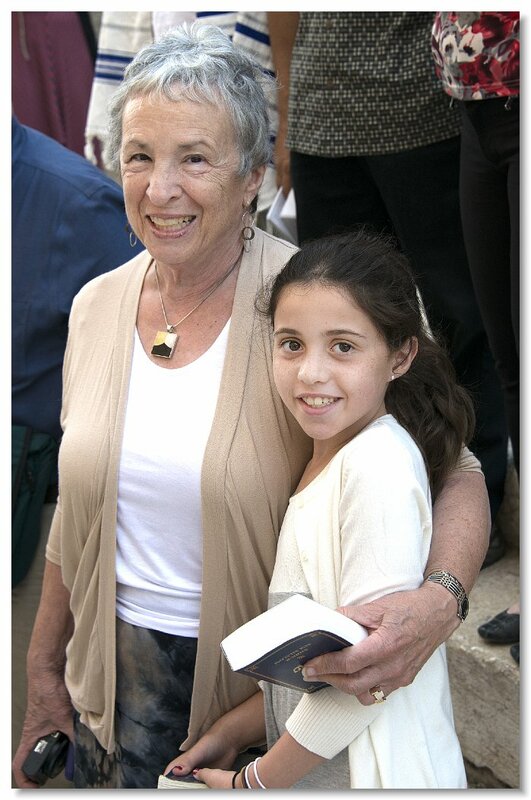 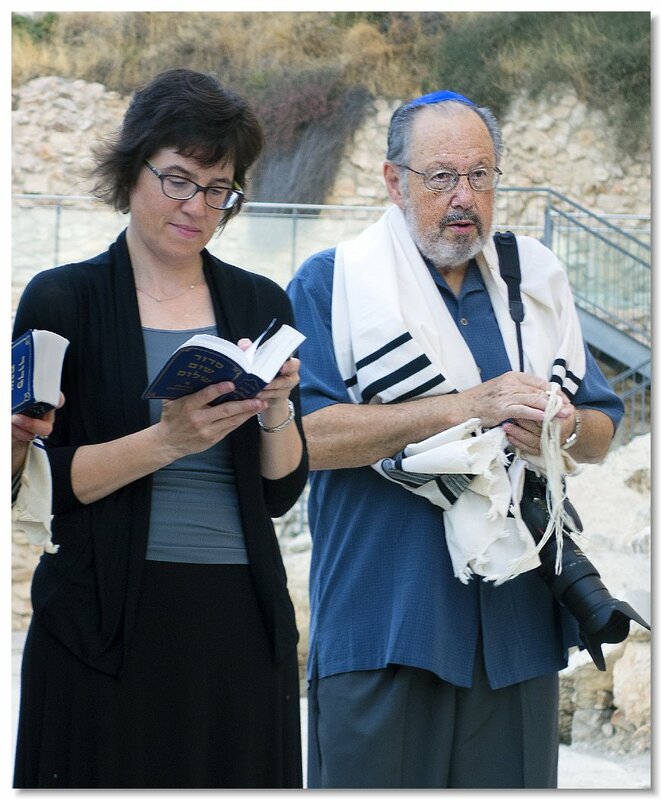 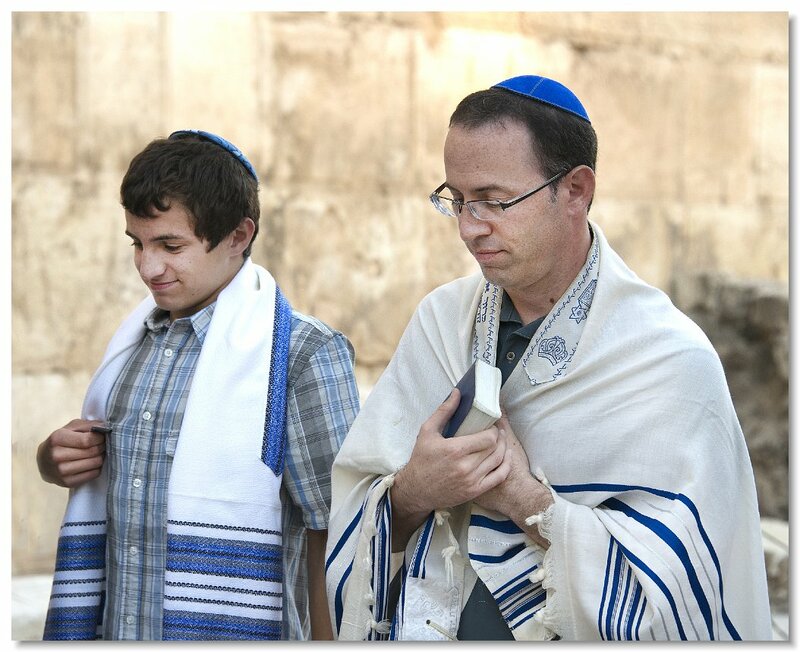 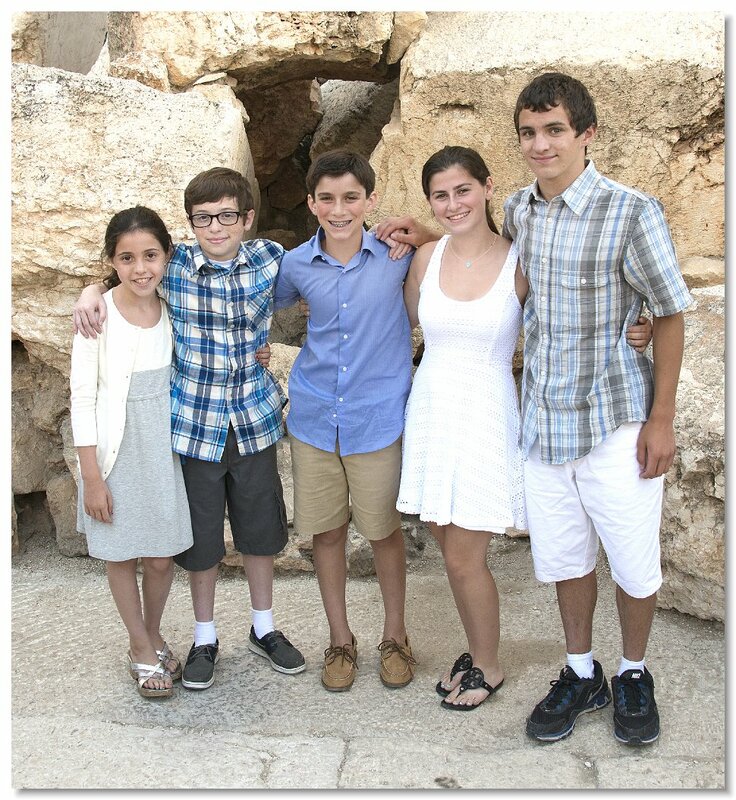 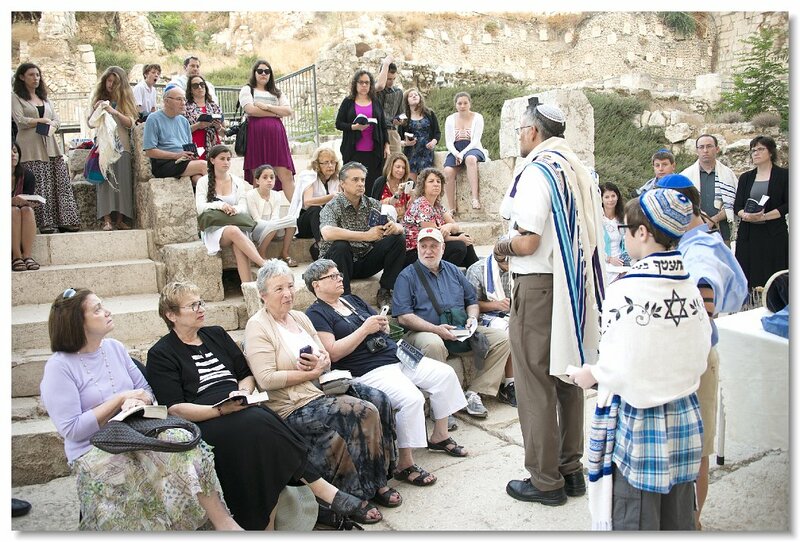 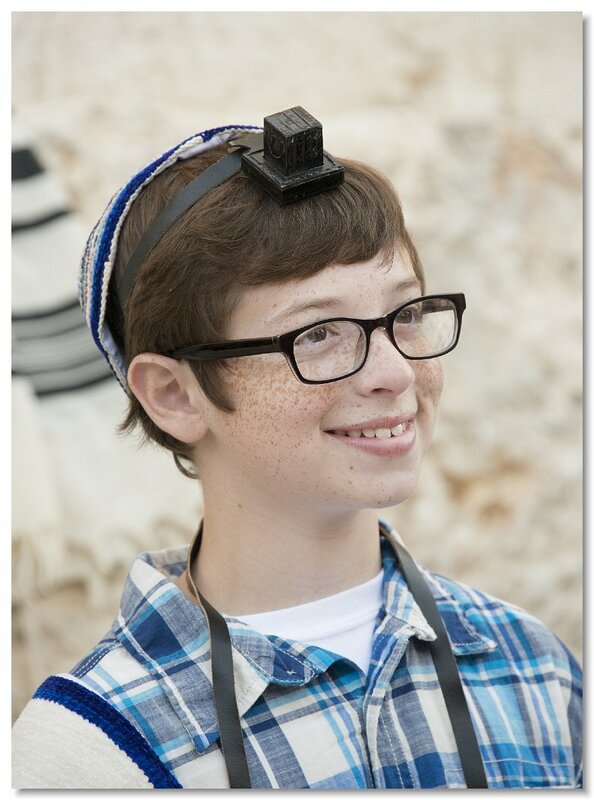 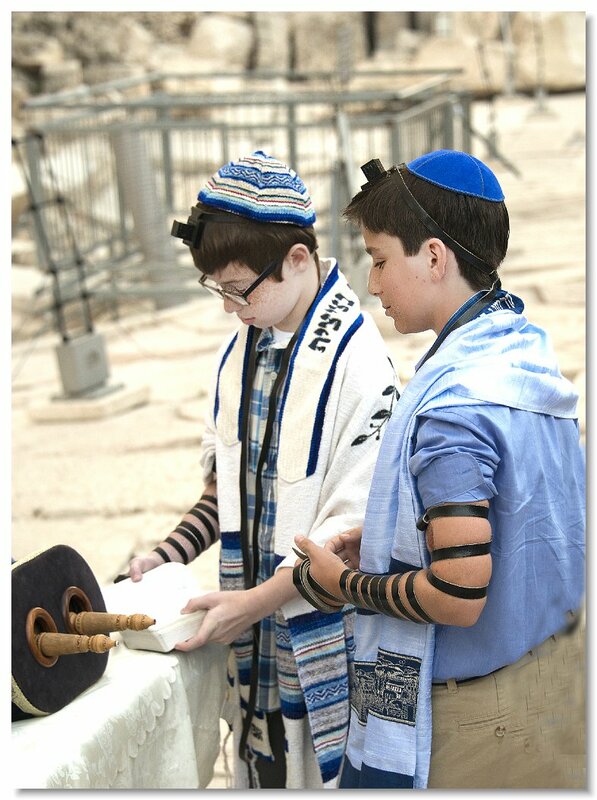 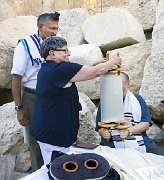 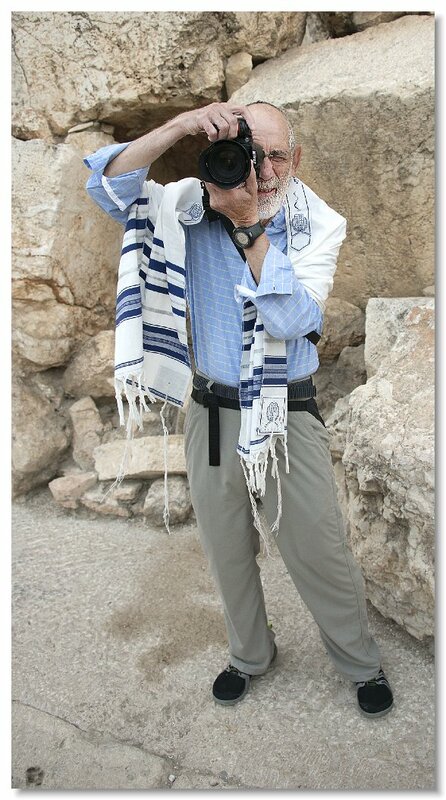 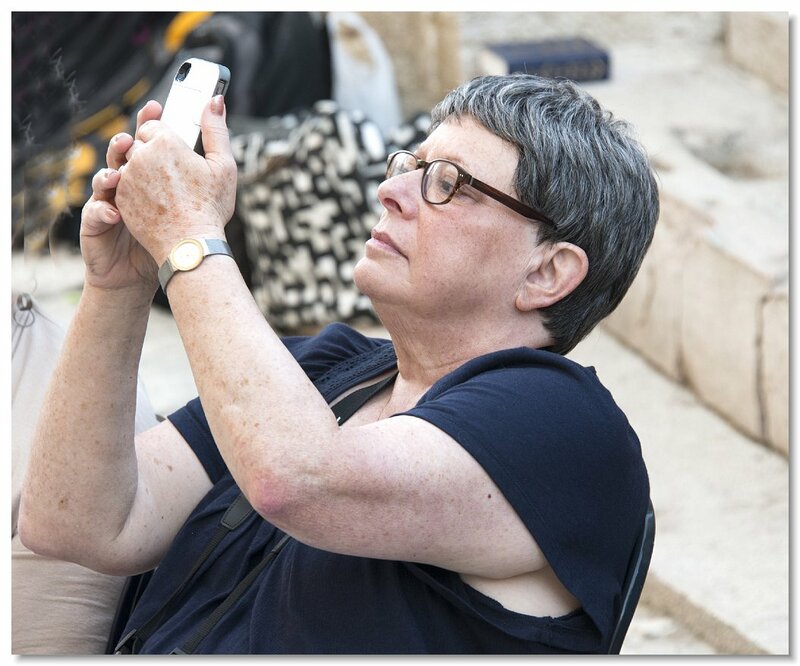 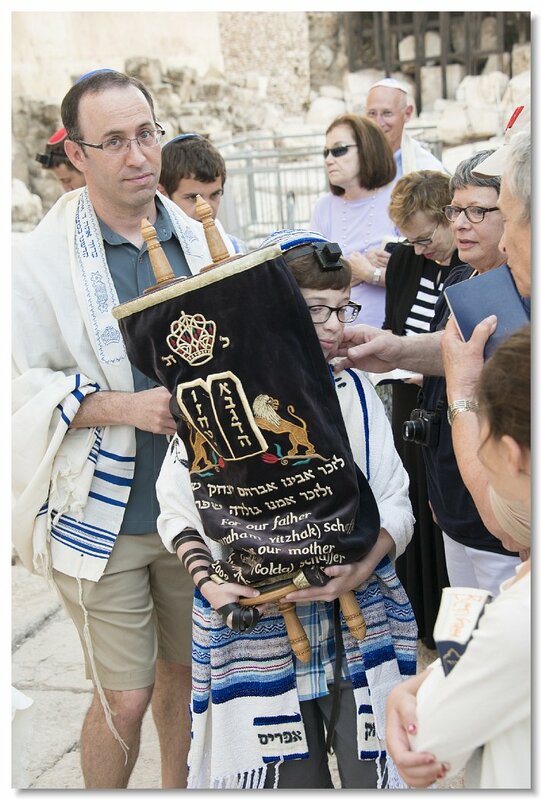 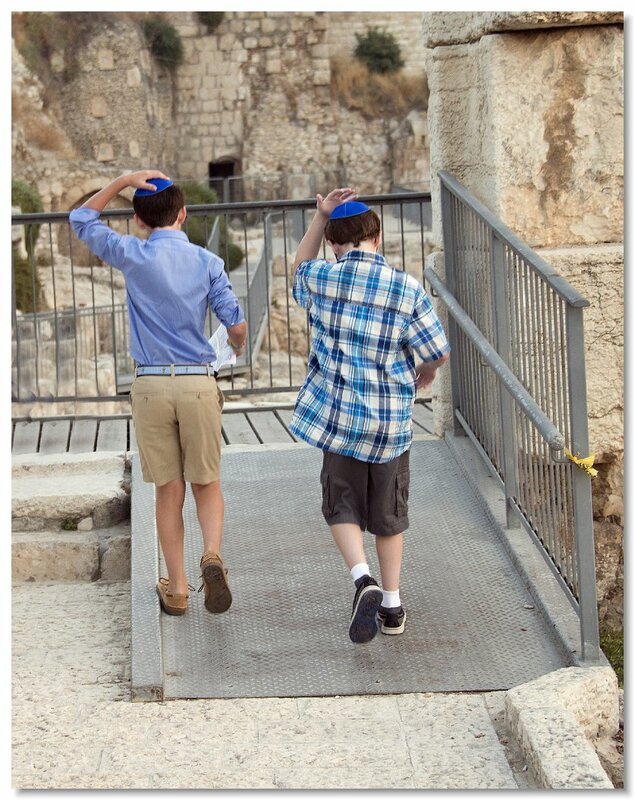 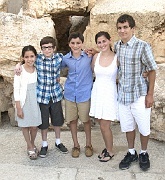 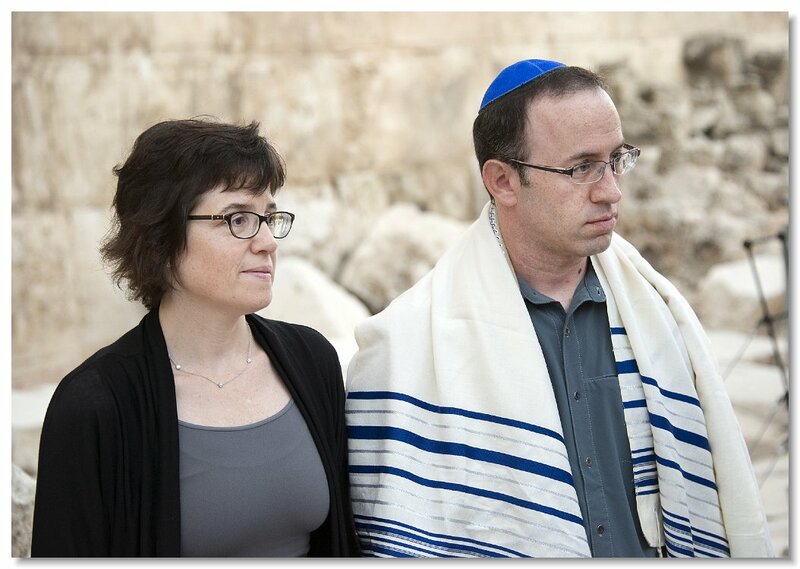 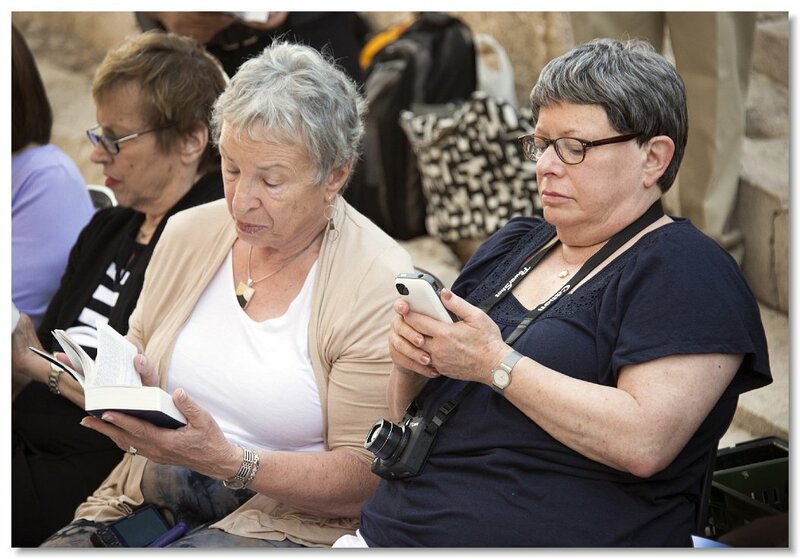 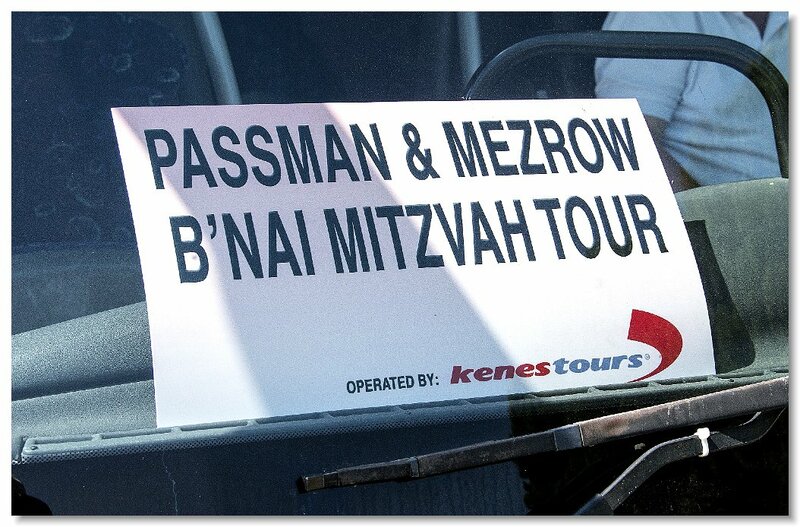 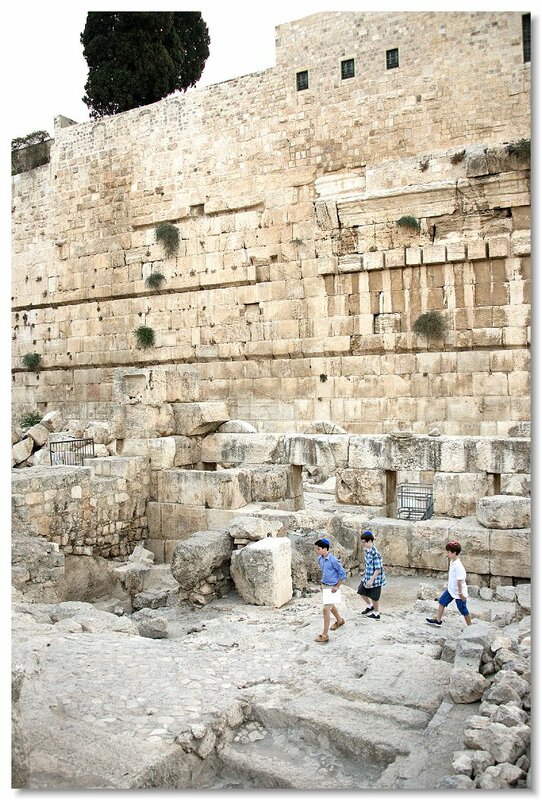 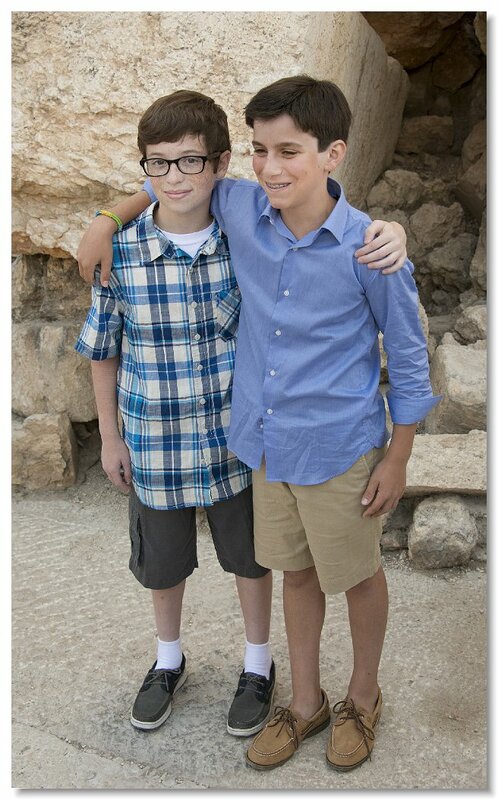 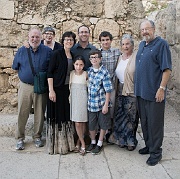 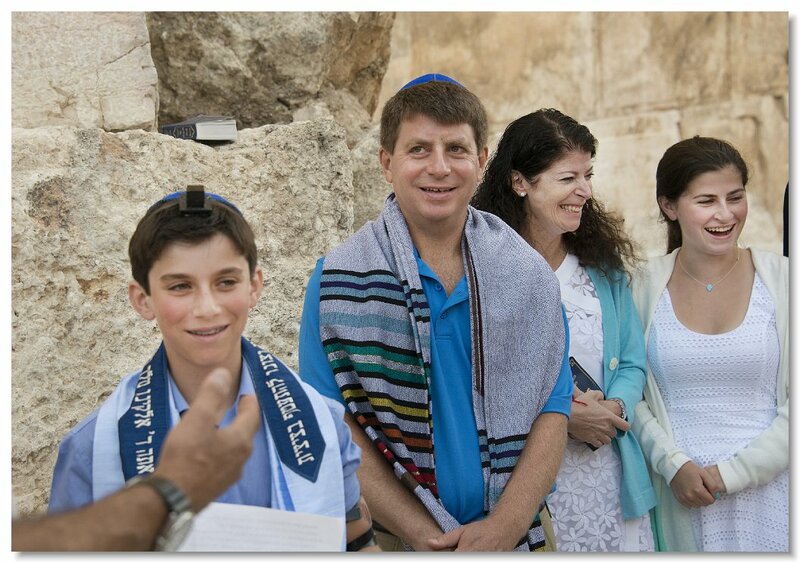 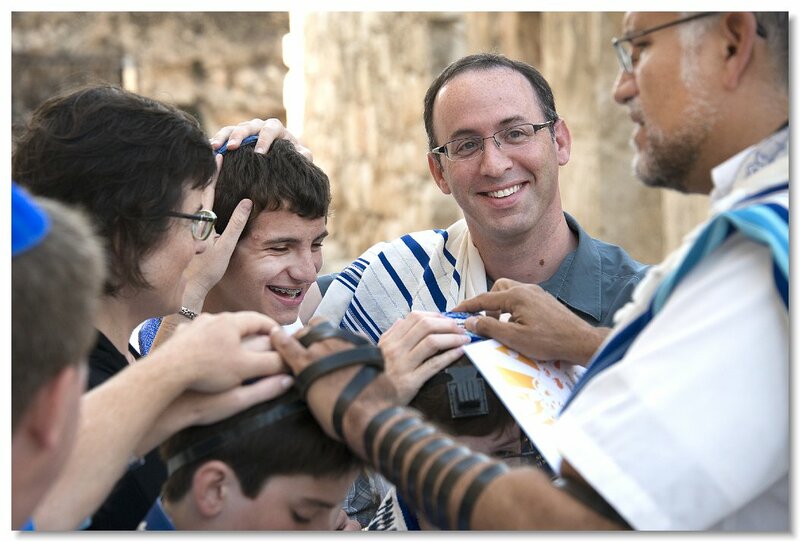 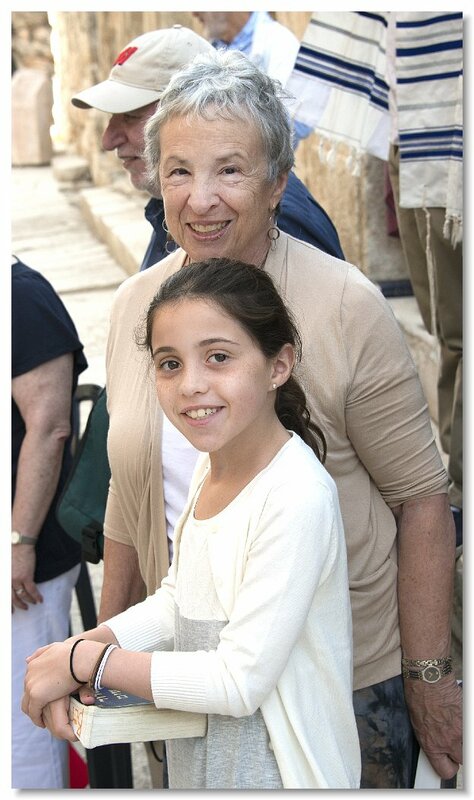 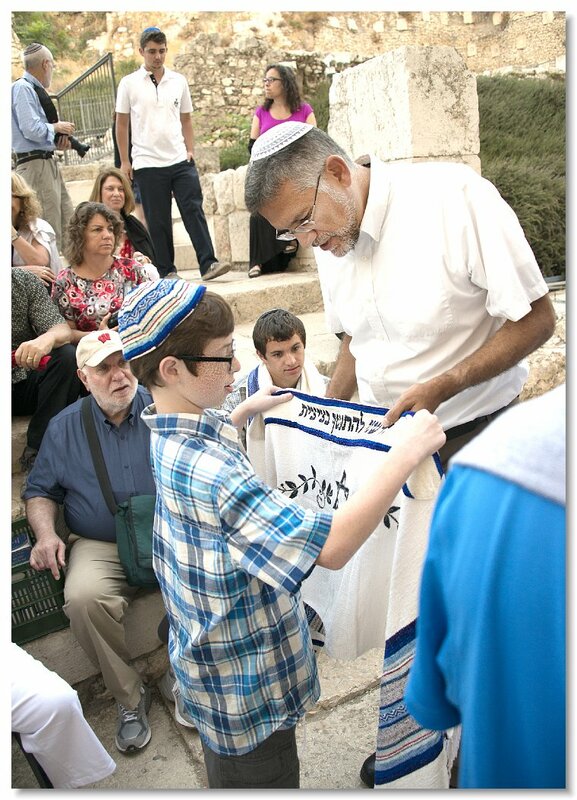 Bar Mitzvah morning on the way the the Western Wall (Kotel) in Jerusalem. 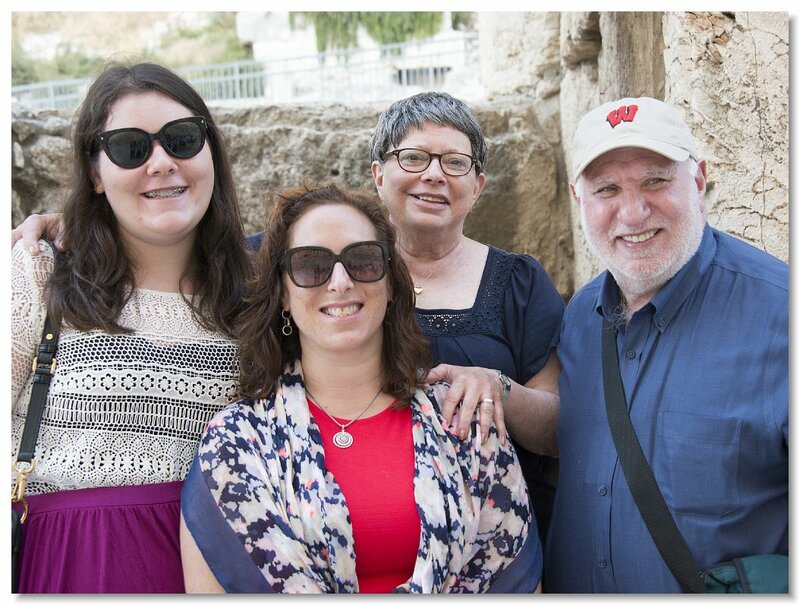 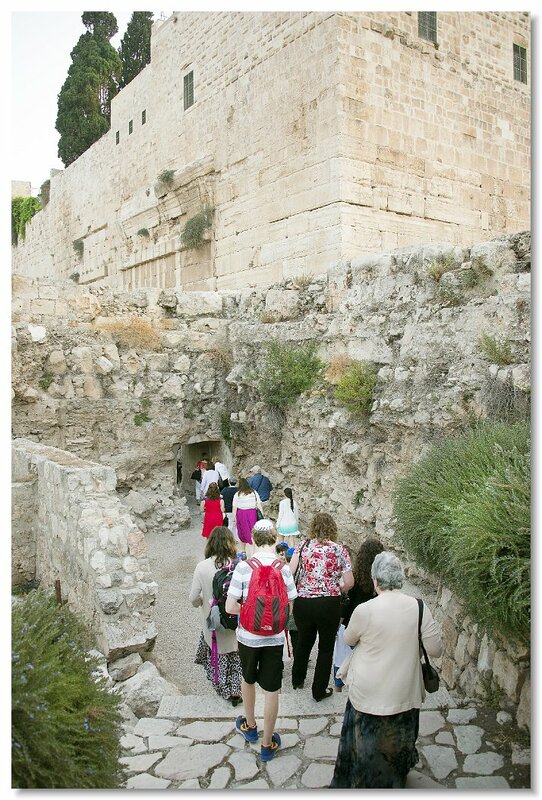 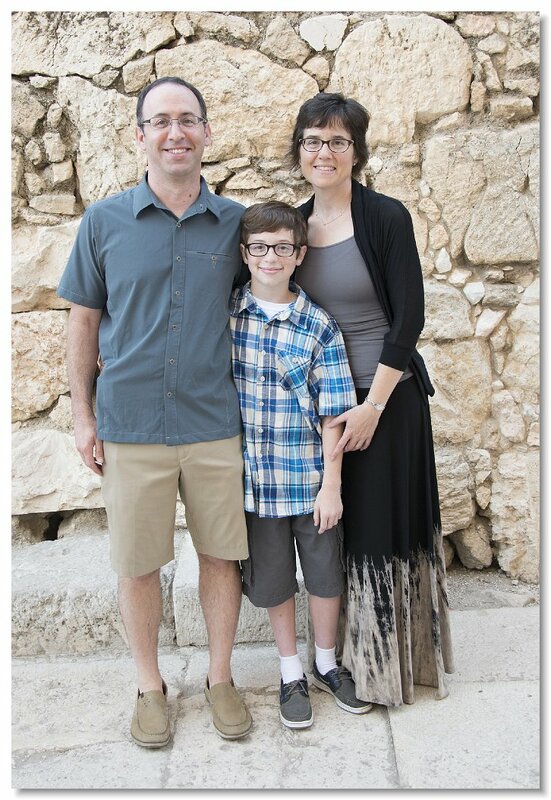 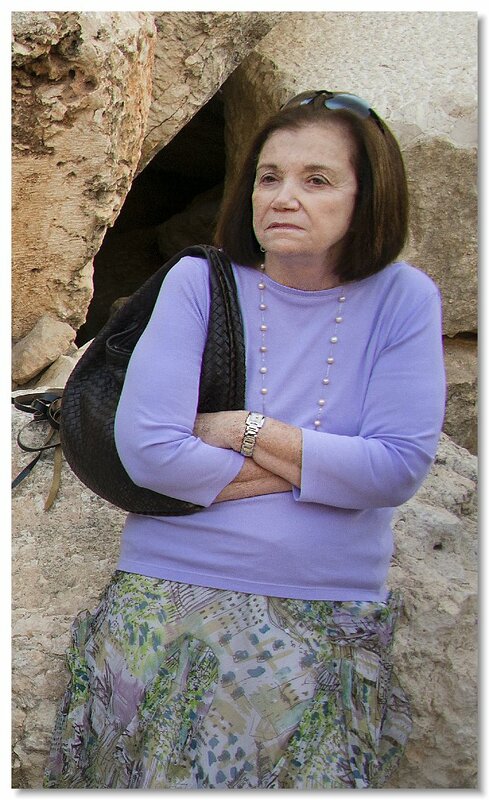 We'le be at Robinson's Arch, which is the name given to an arch that once stood at the southwestern corner of the Temple Mount. 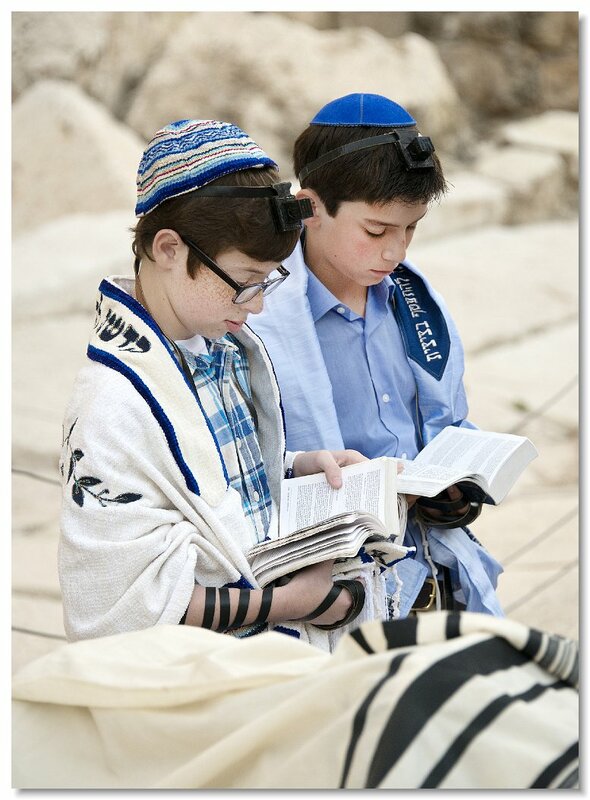 It's just after dawn, a wonderfully peaceful and private time here. 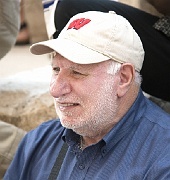 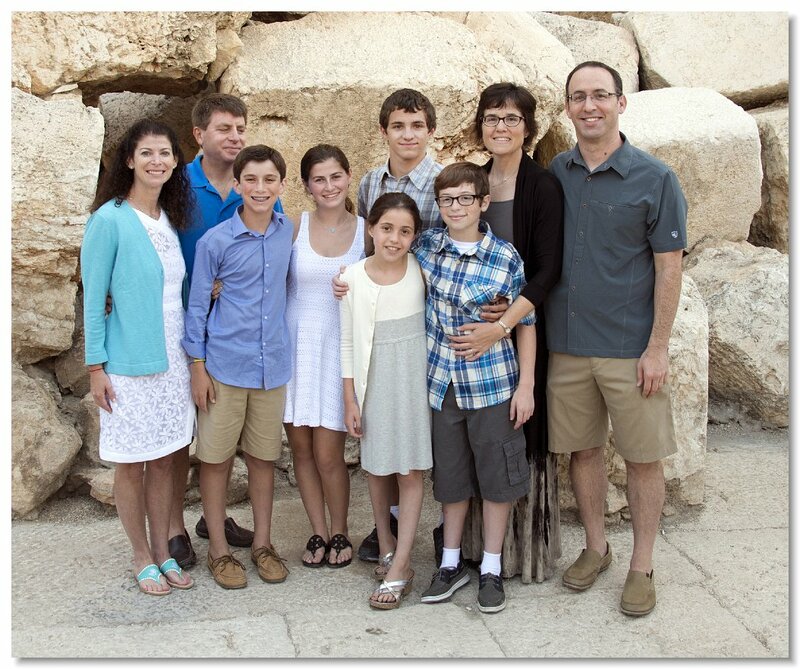 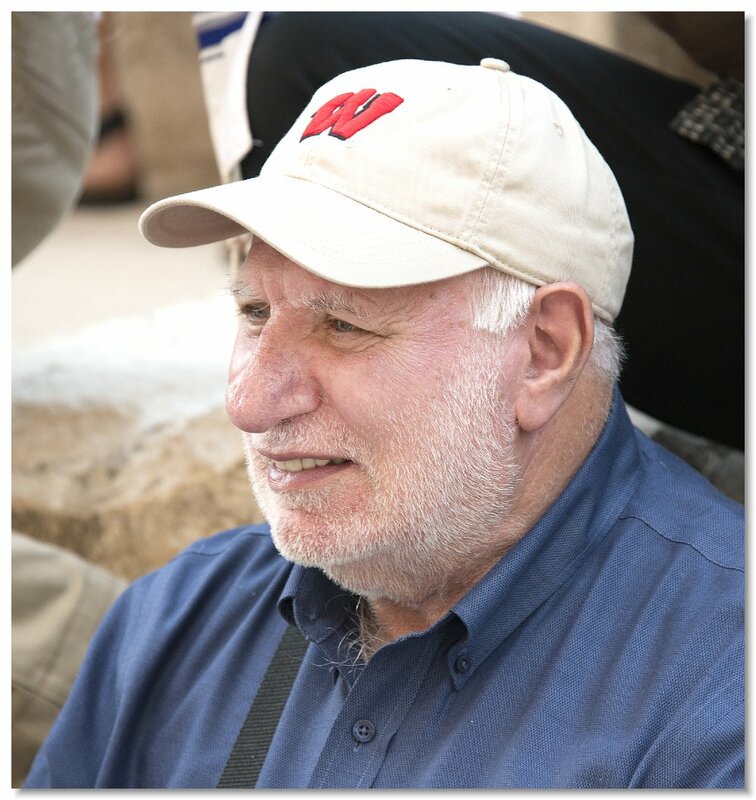 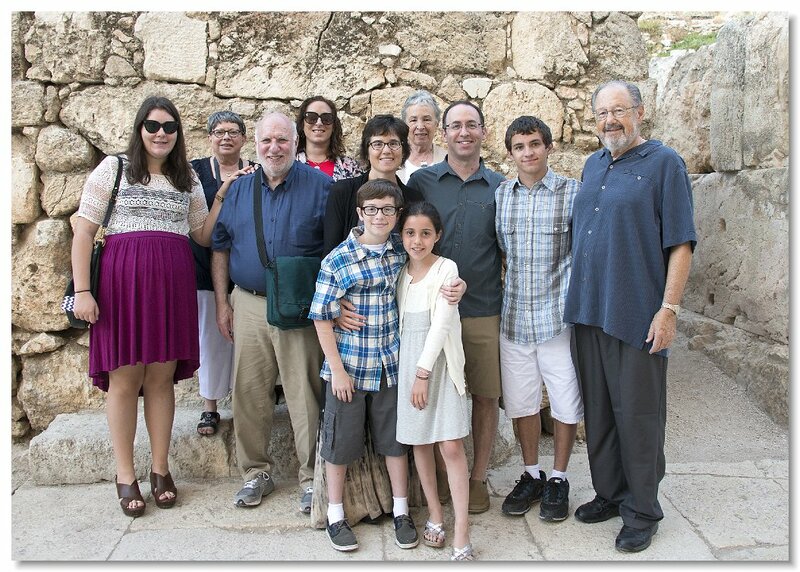 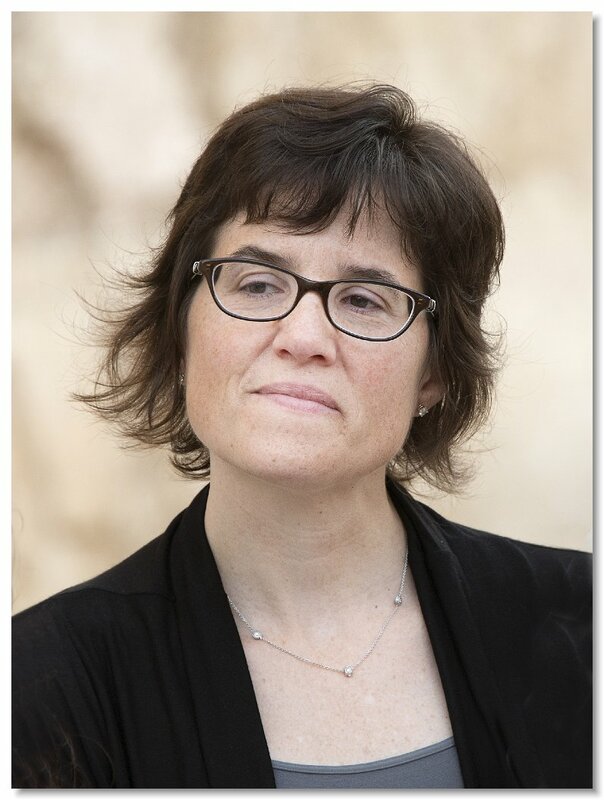 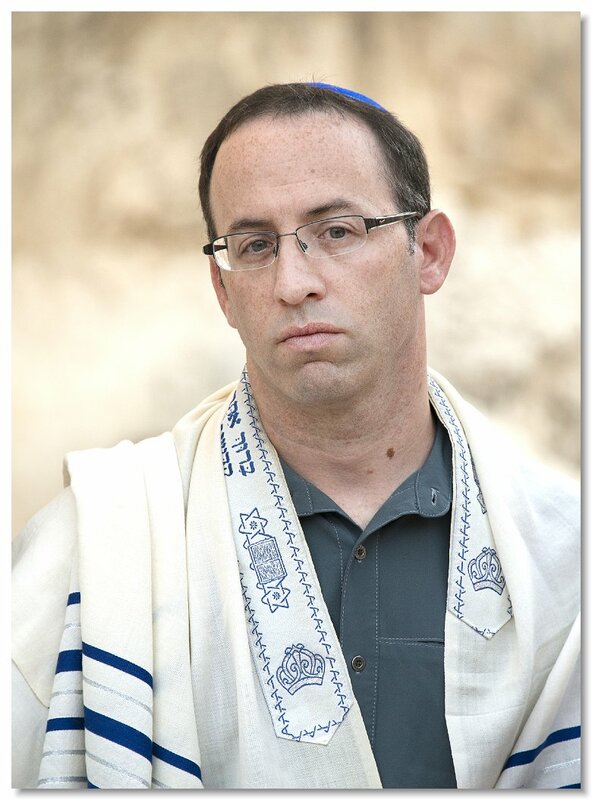 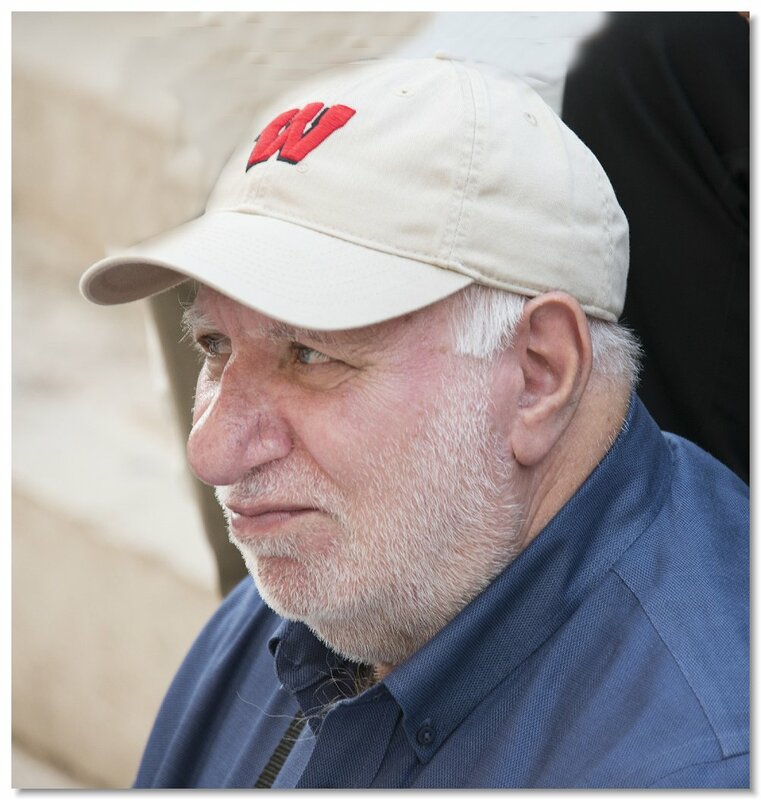 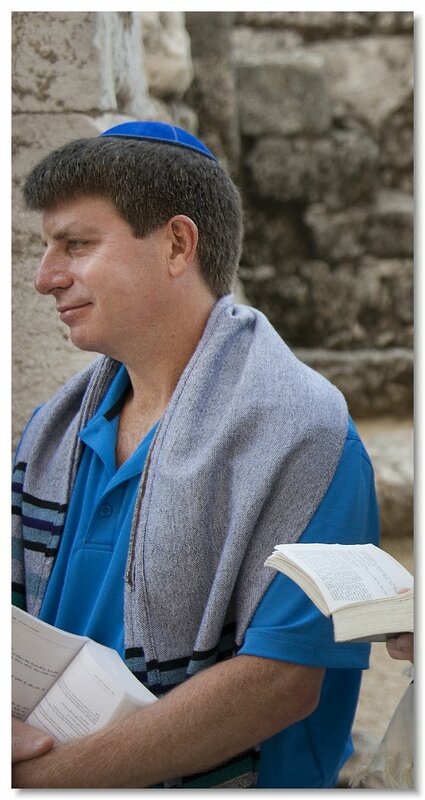 We are with Rabbi David Ebstein who is from the Holy City of Chicago. 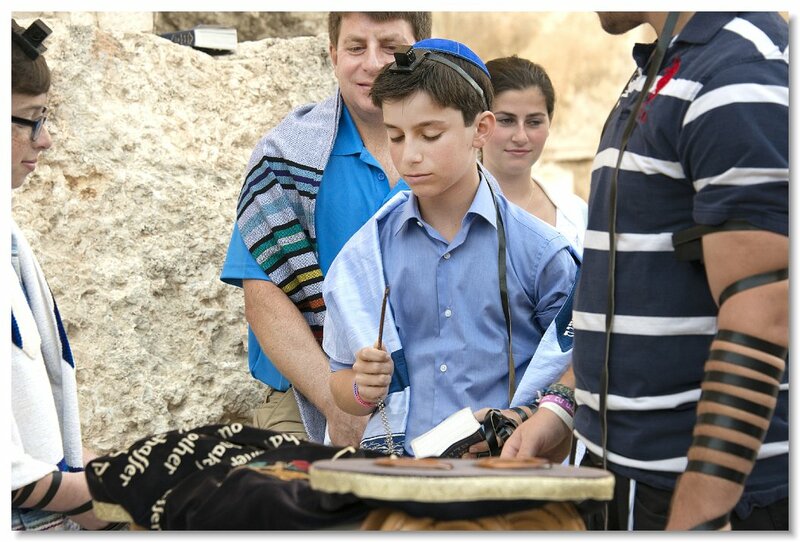 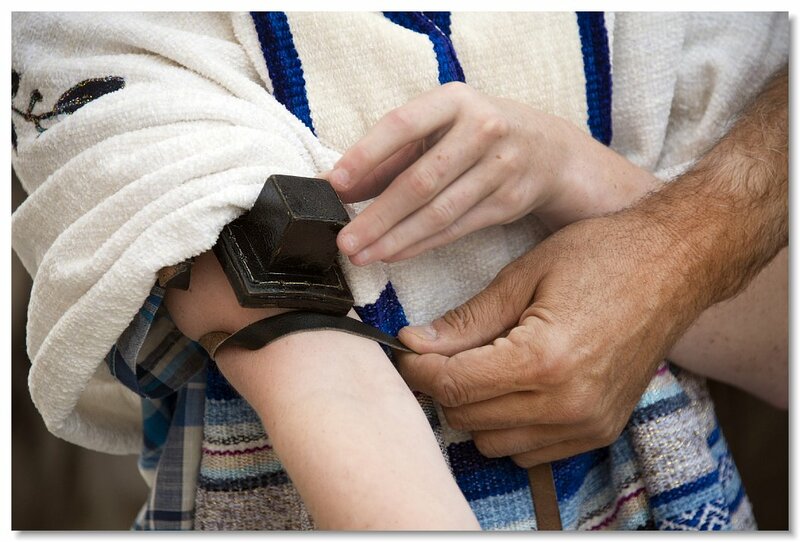 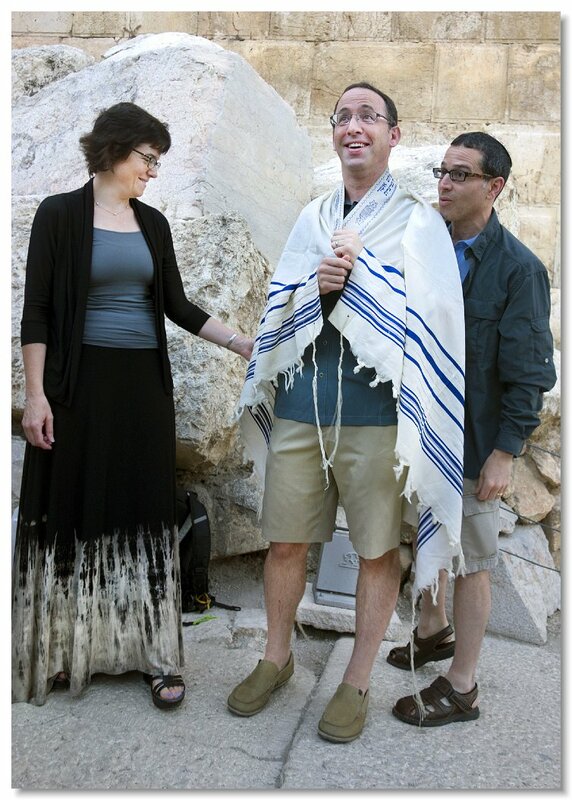 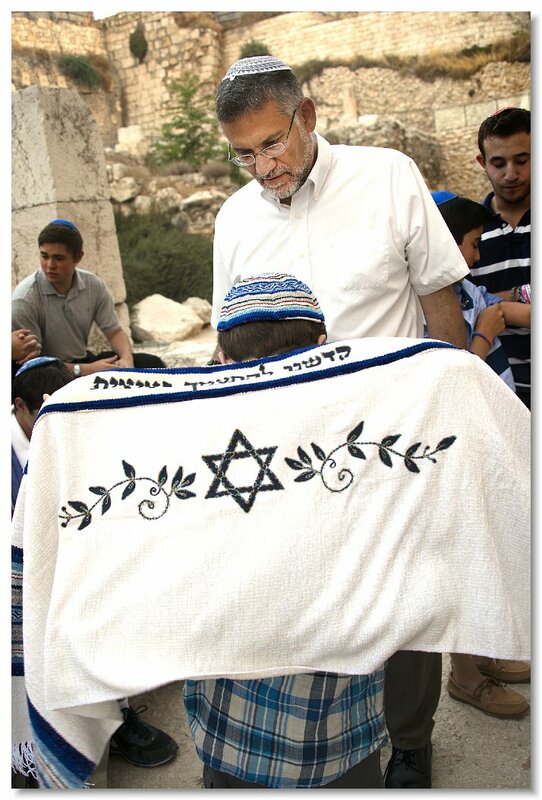 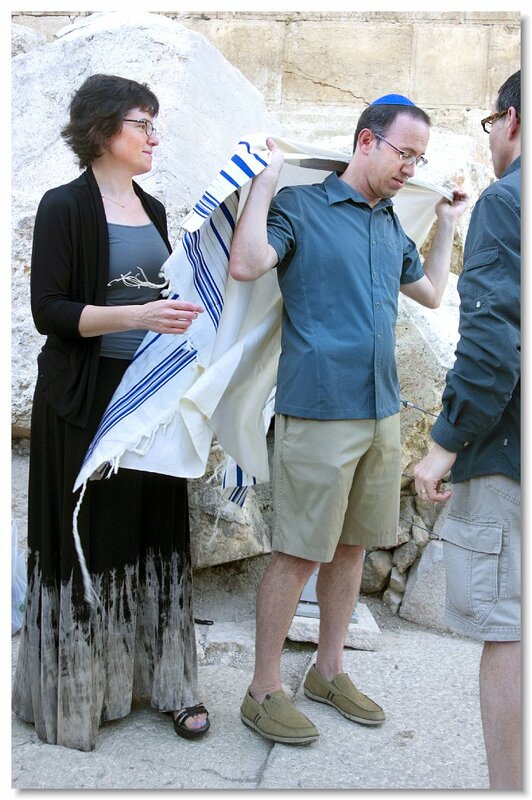 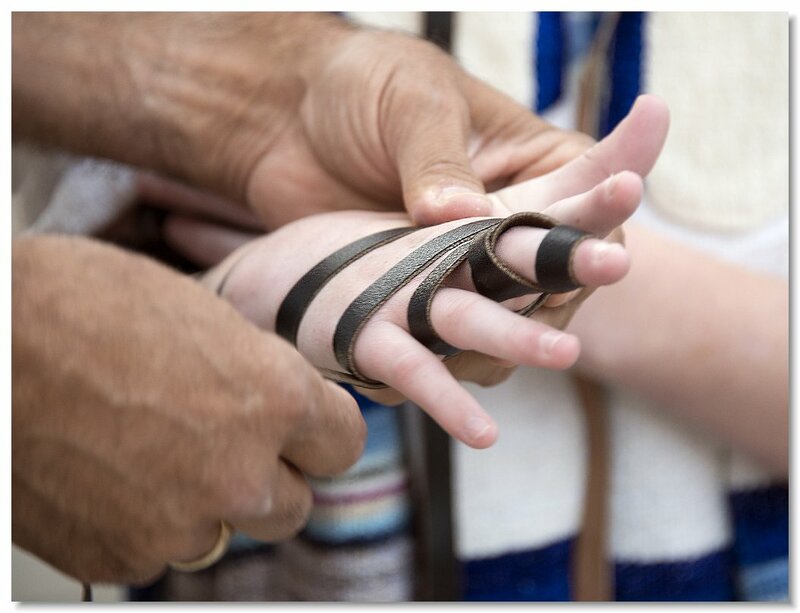 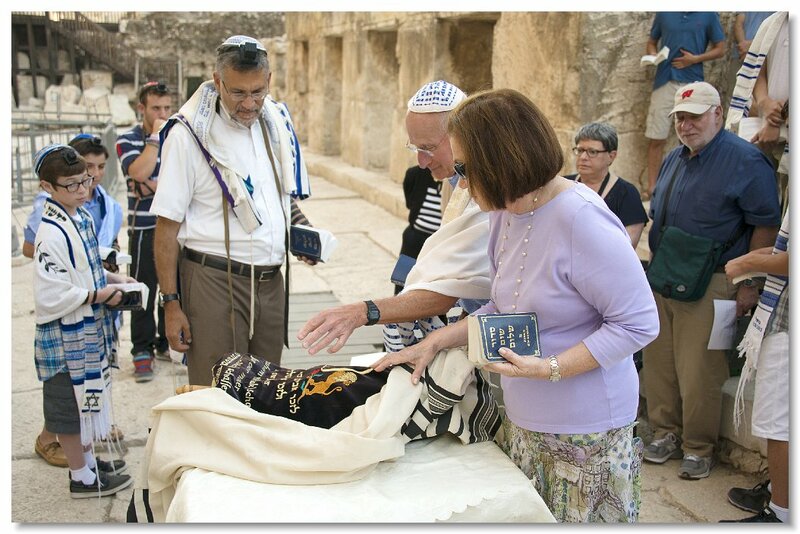 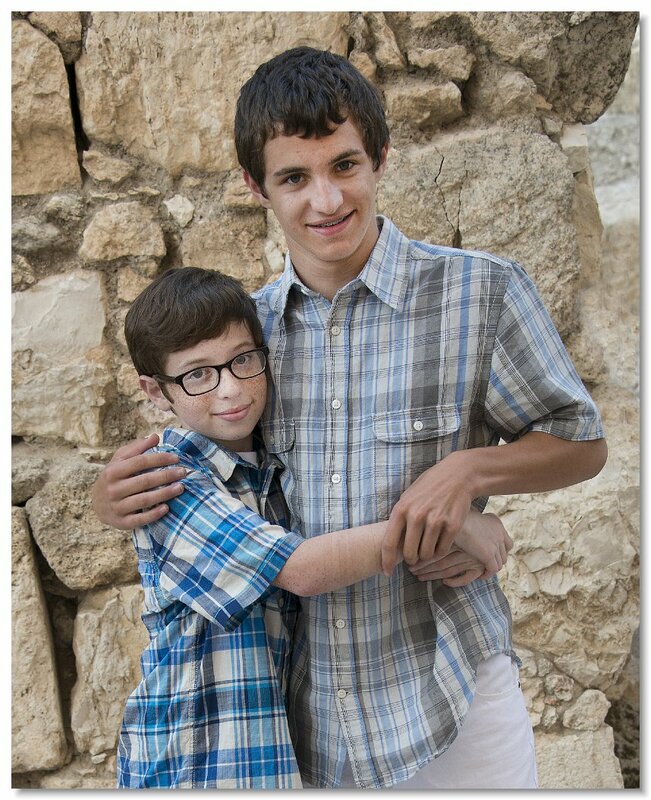 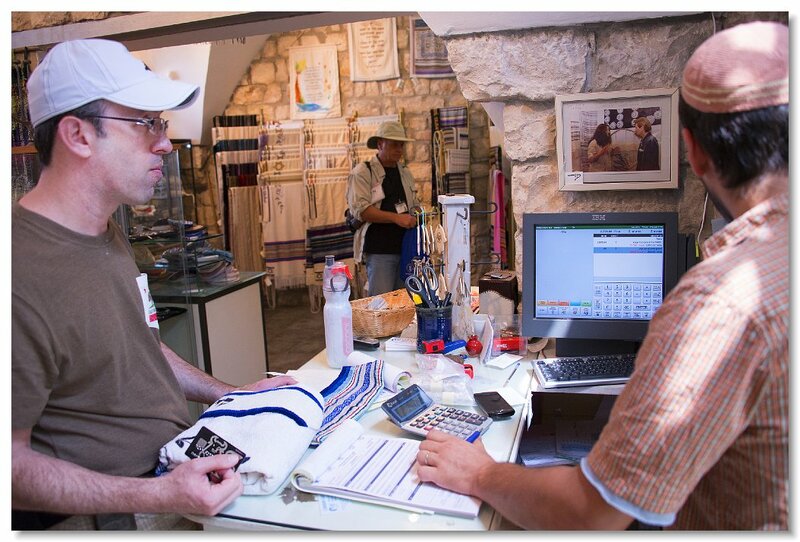 Rabbi David assists Jordan in puttin on his Talit. 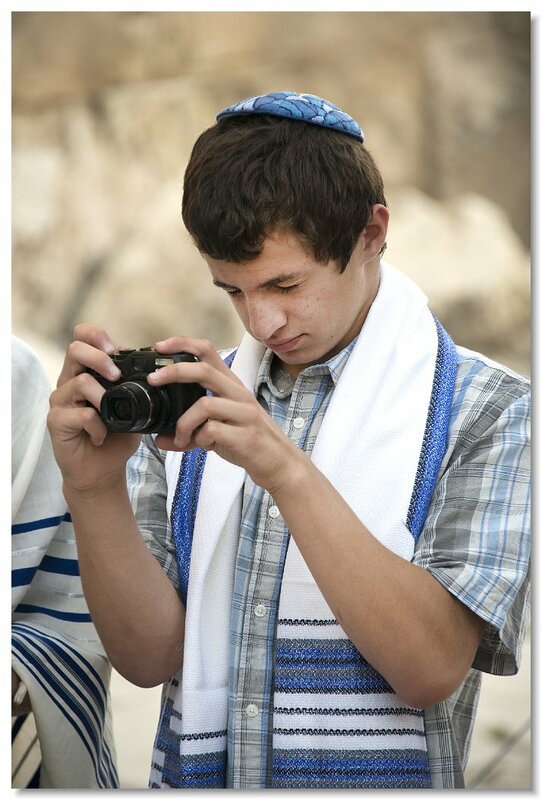 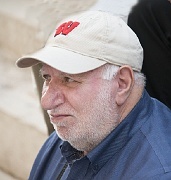 Max Mesrow's uncle, Jerry Frezel is also taking pictures. 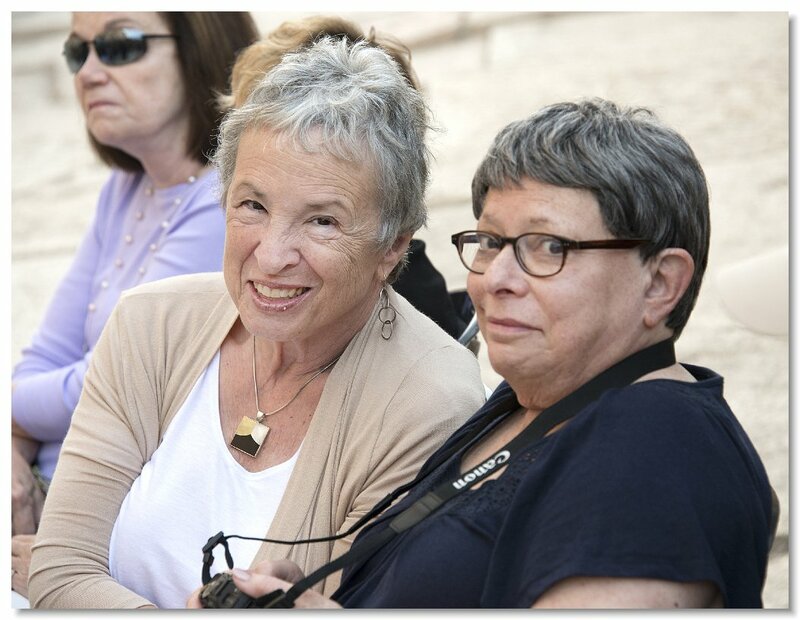 If we don't take each other's photo no one will document that either of of us were here. 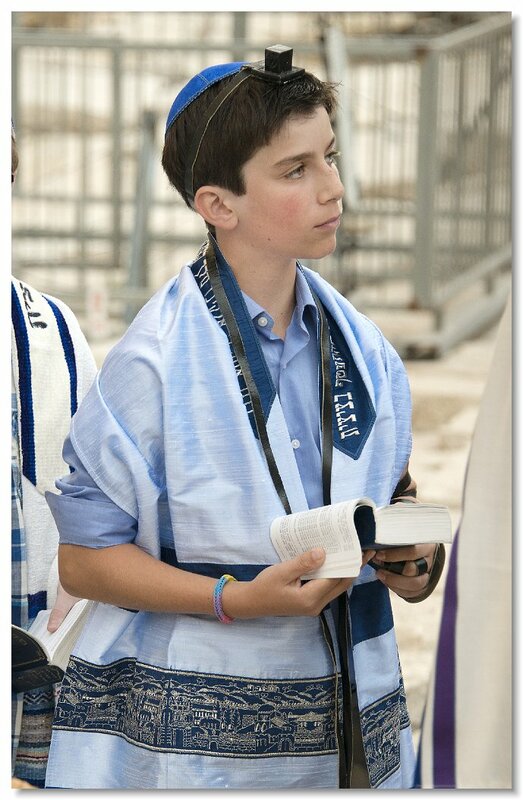 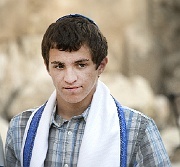 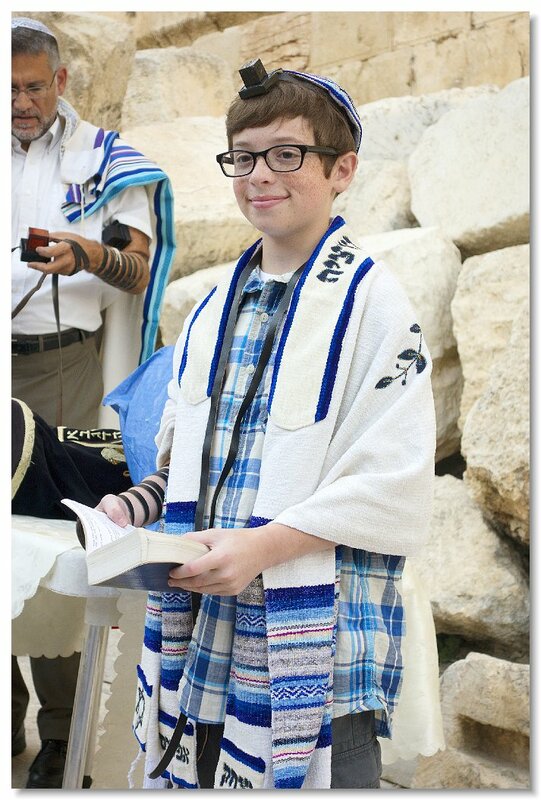 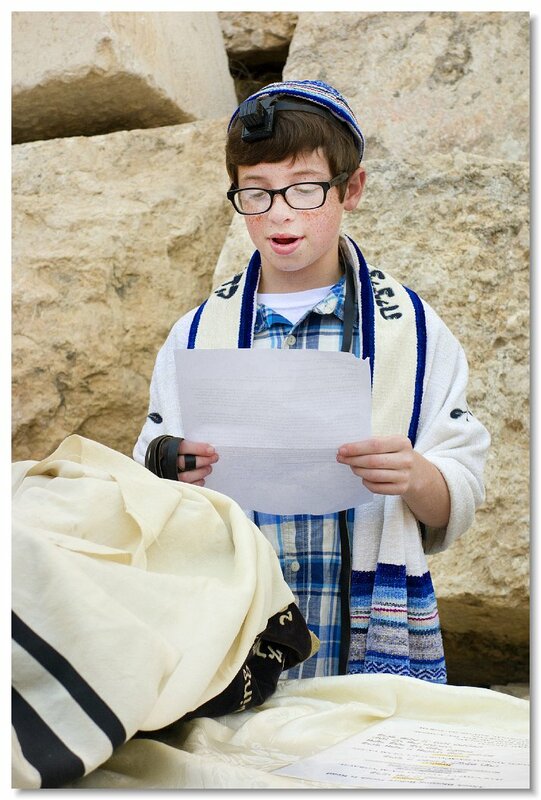 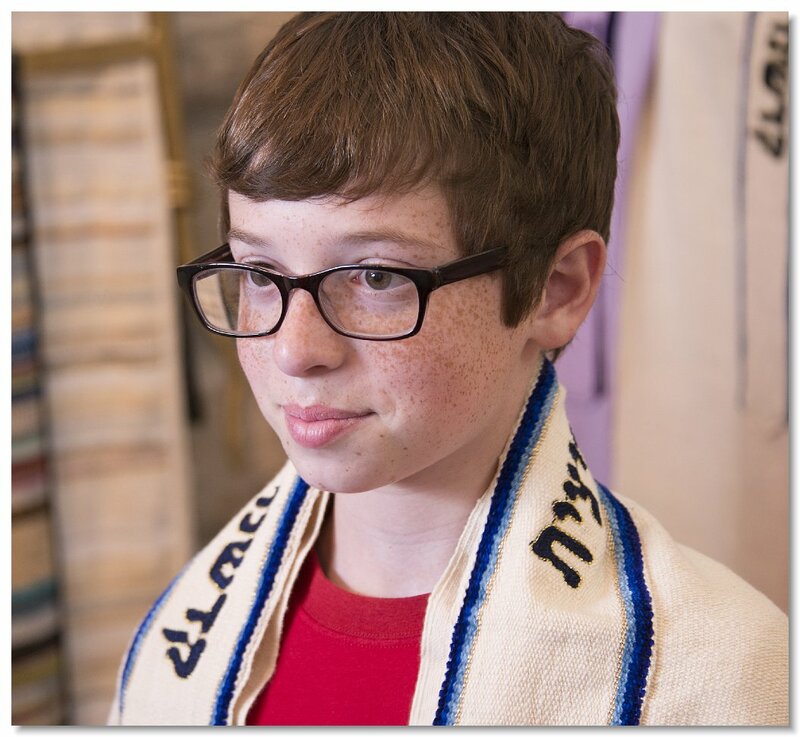 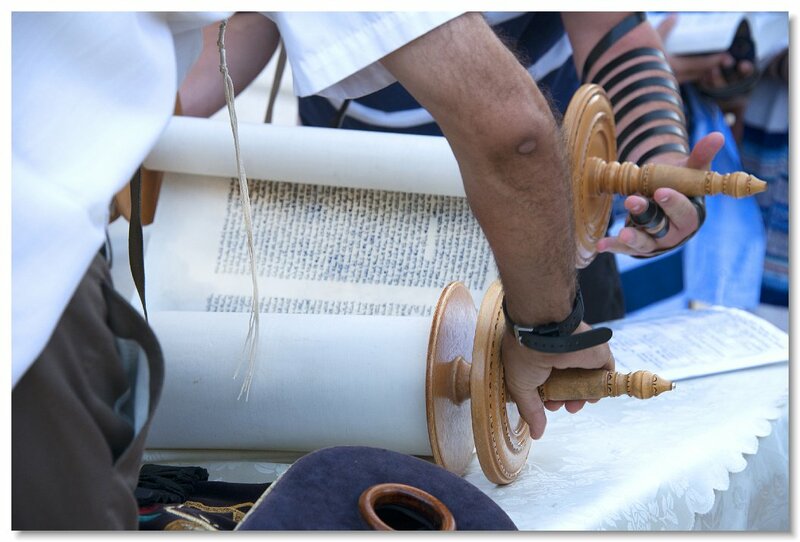 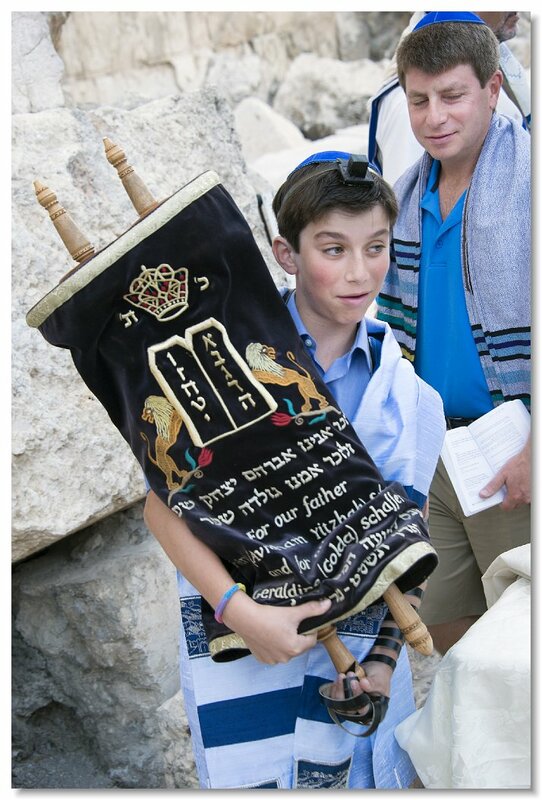 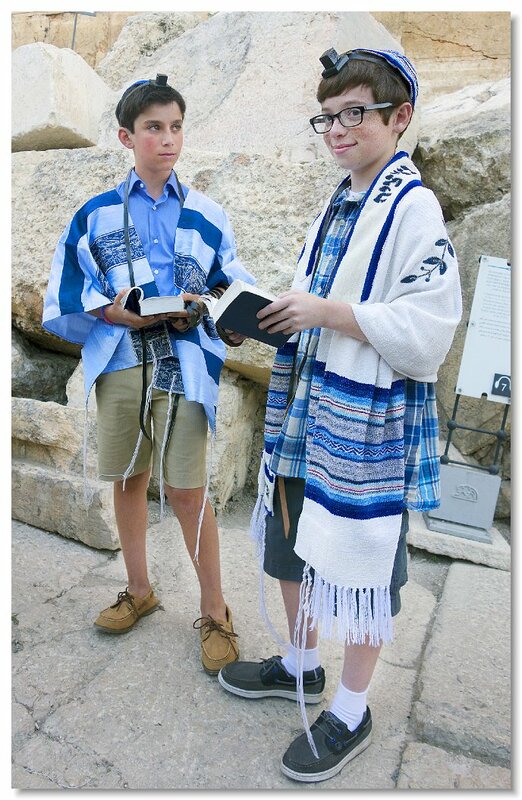 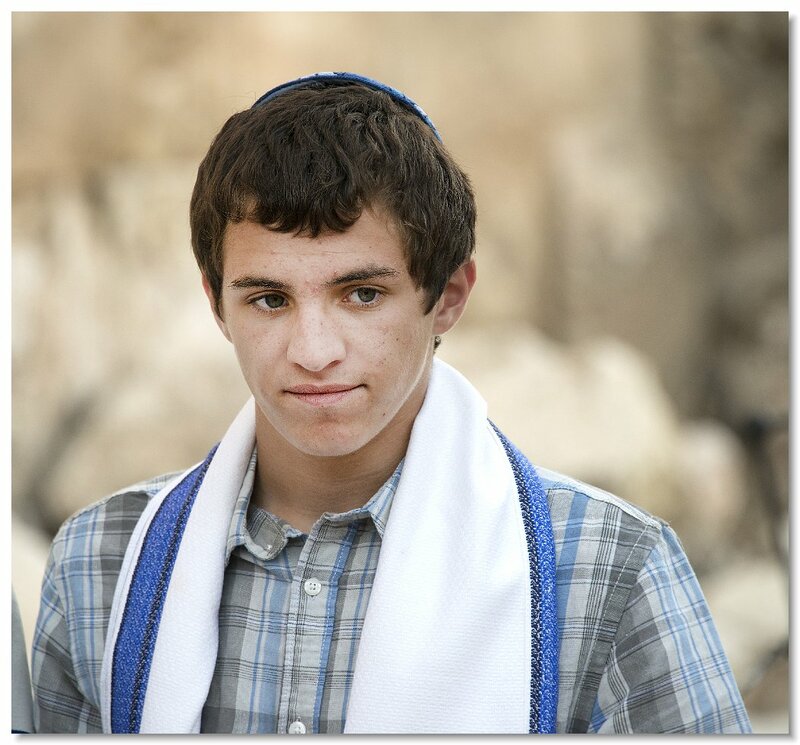 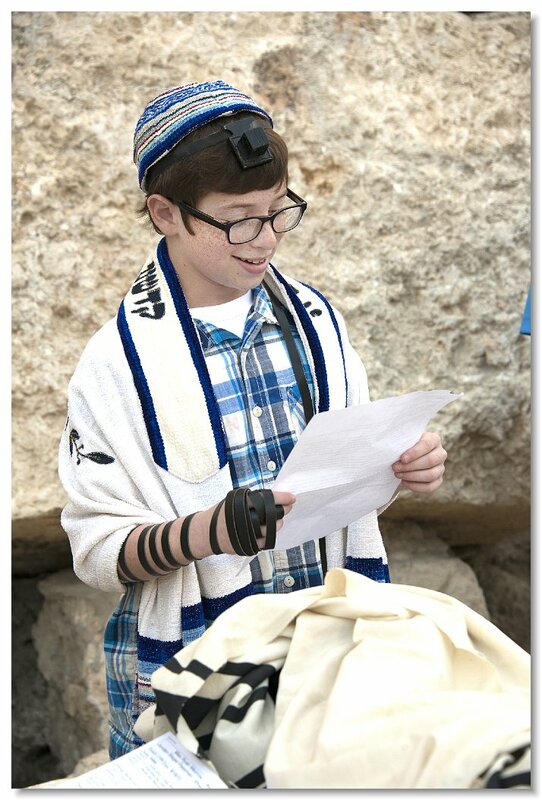 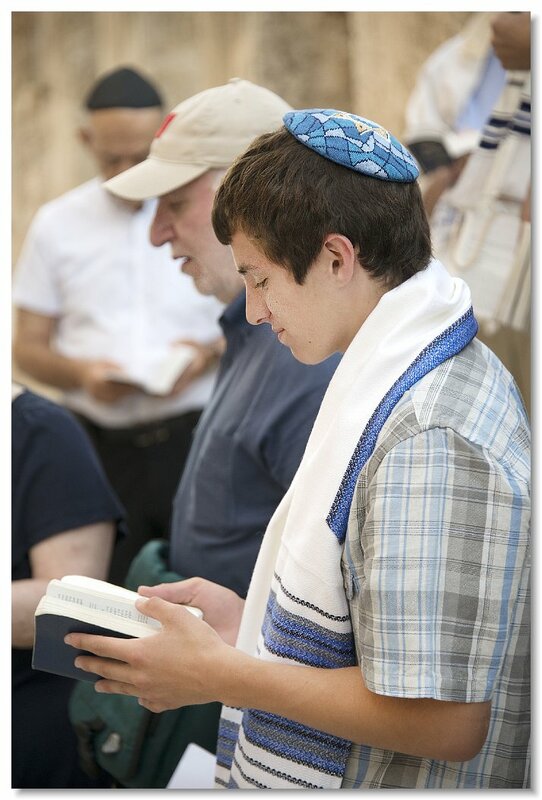 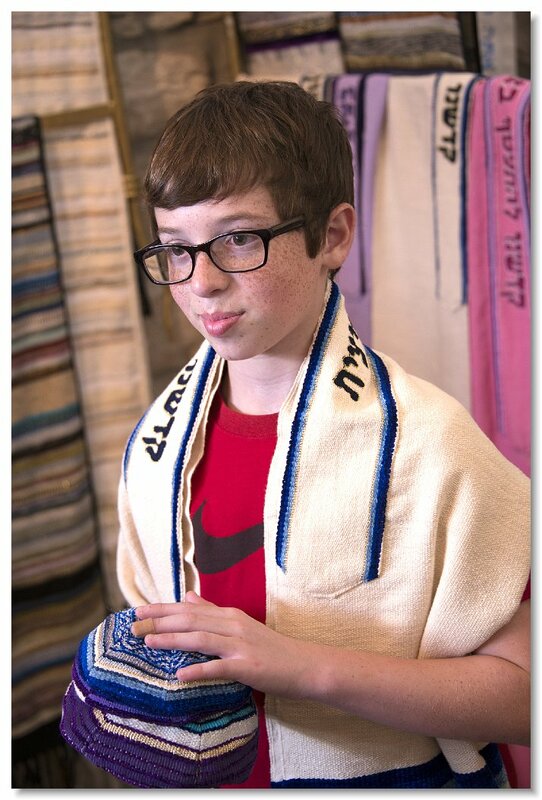 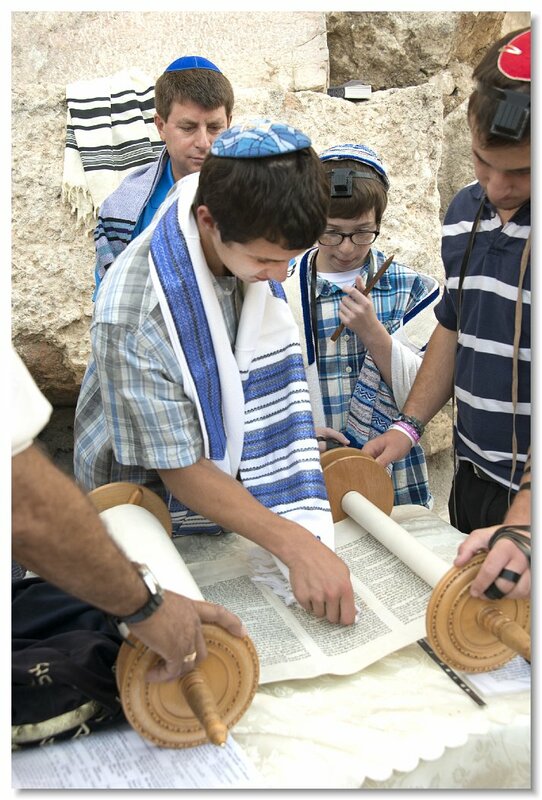 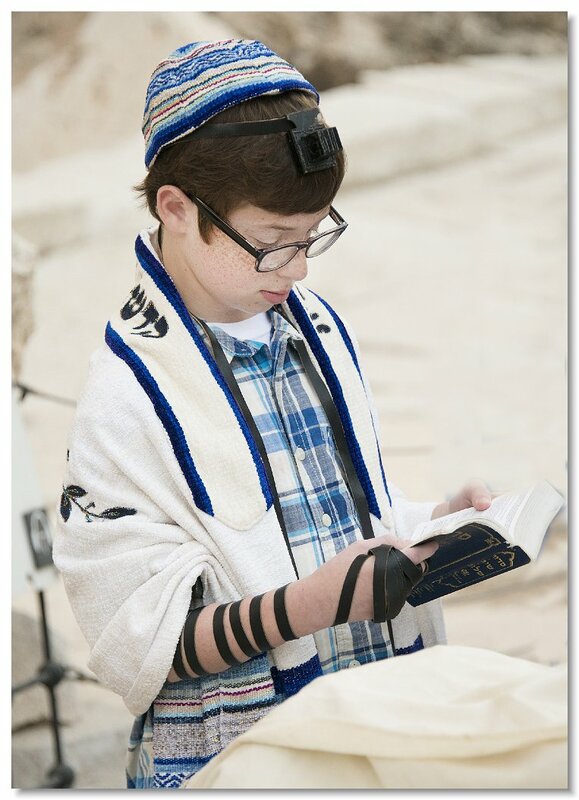 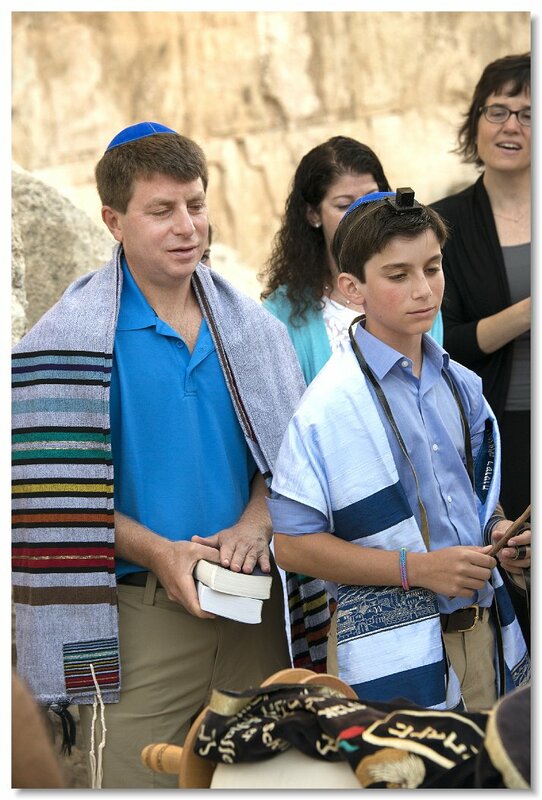 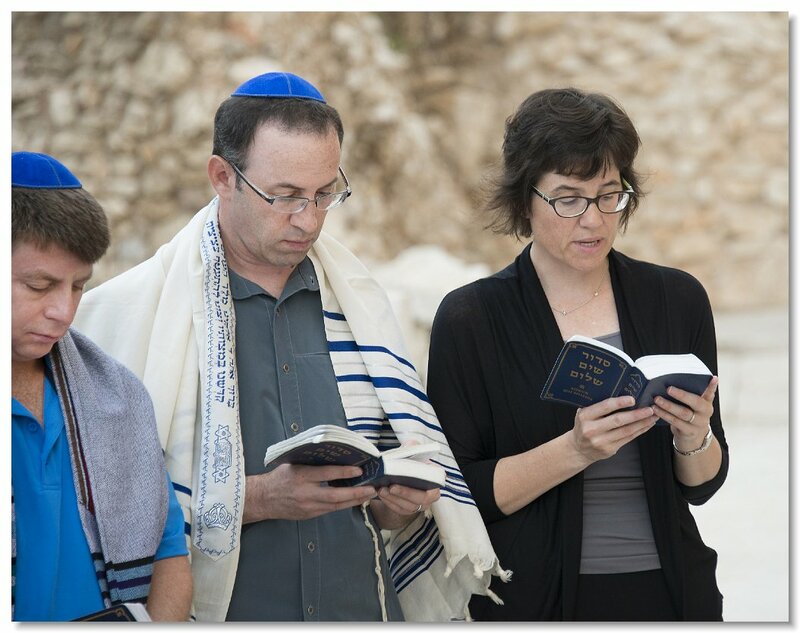 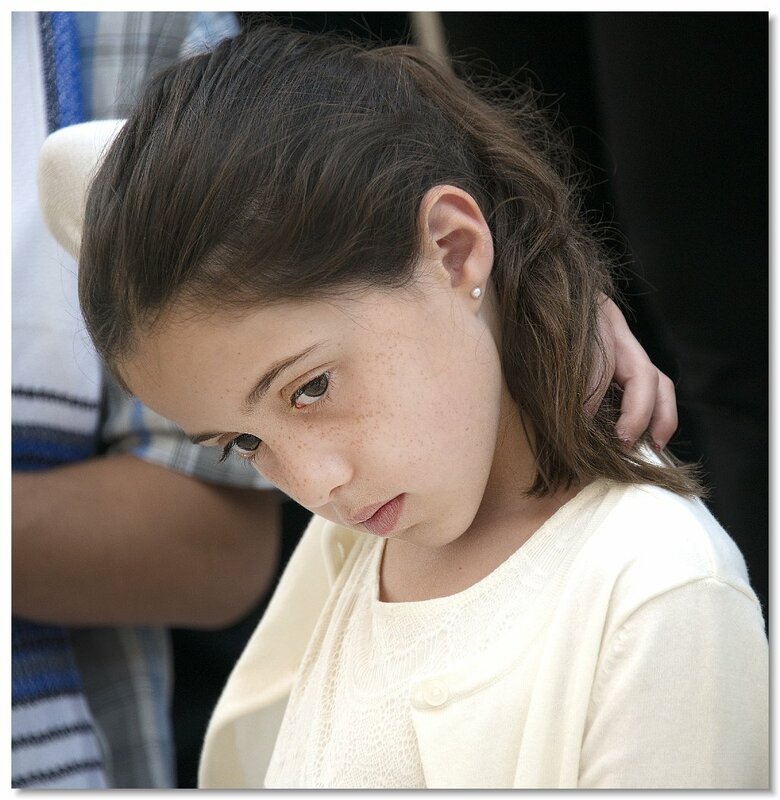 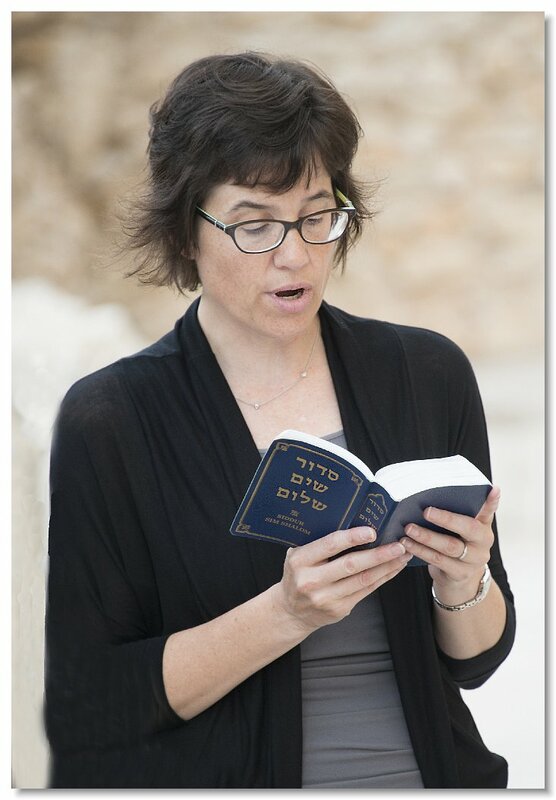 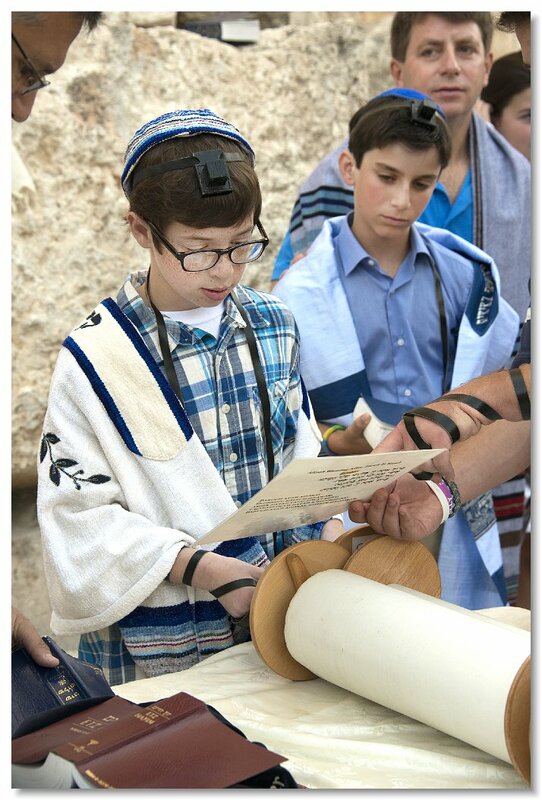 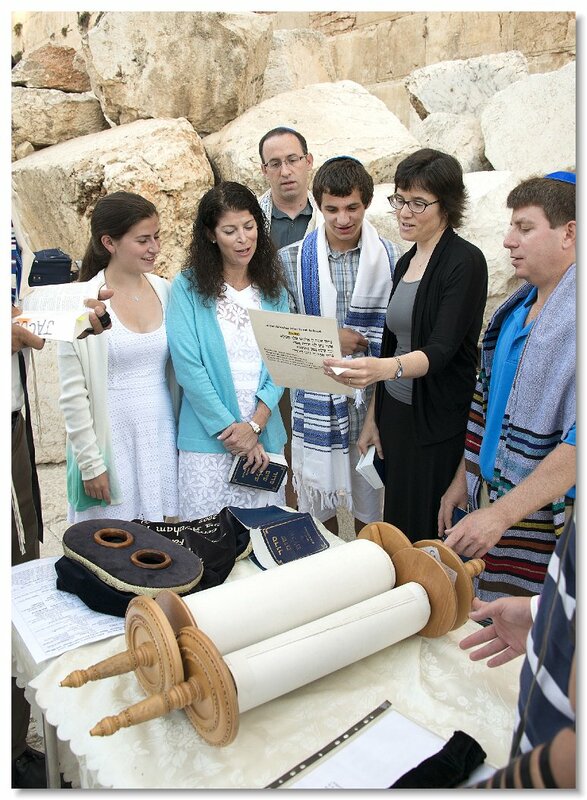 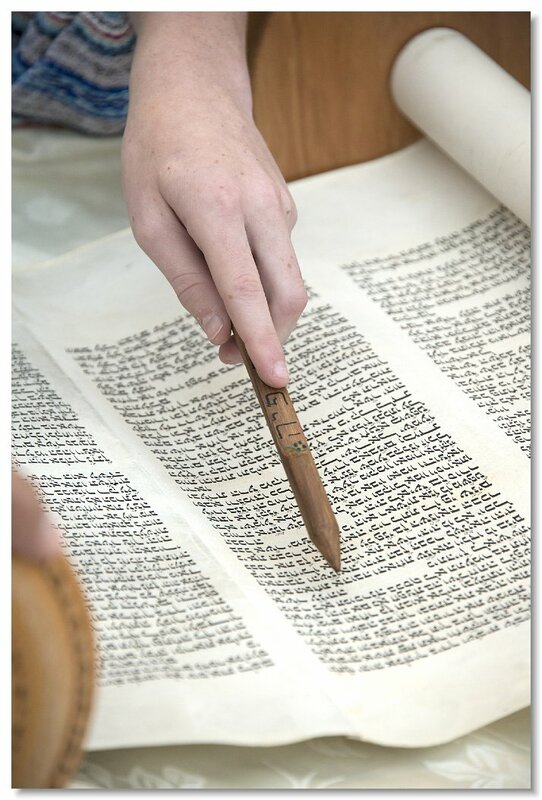 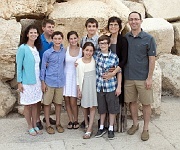 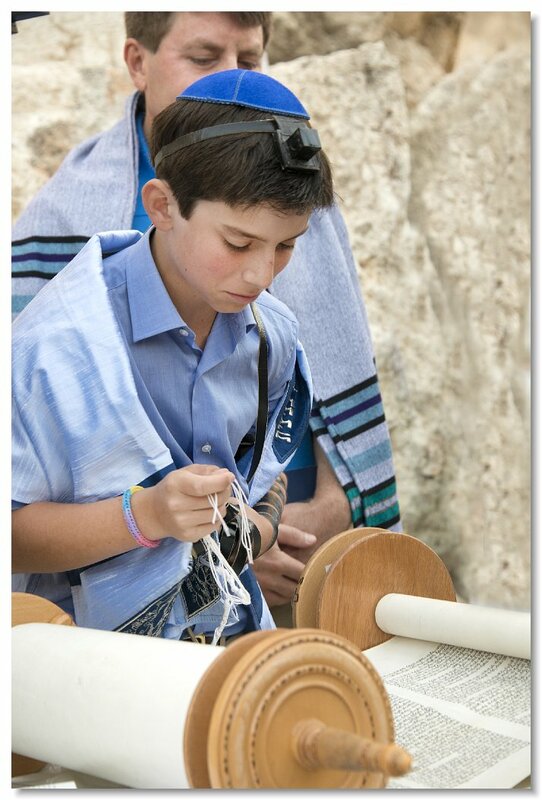 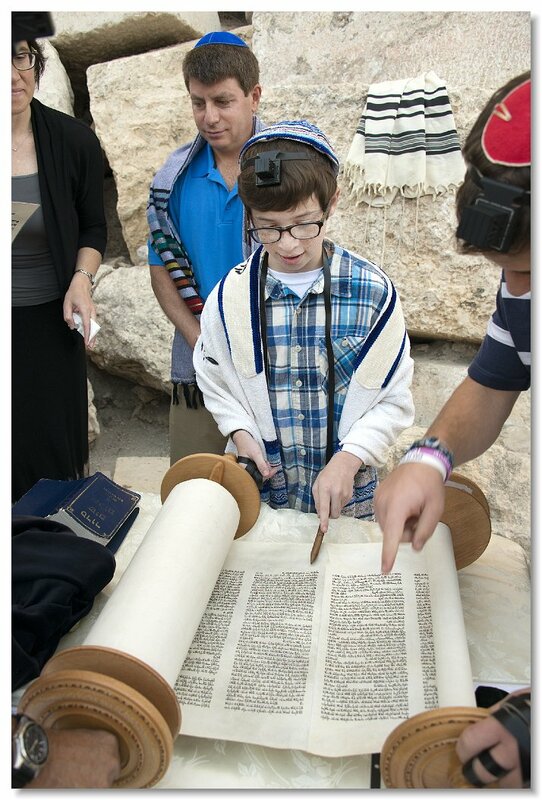 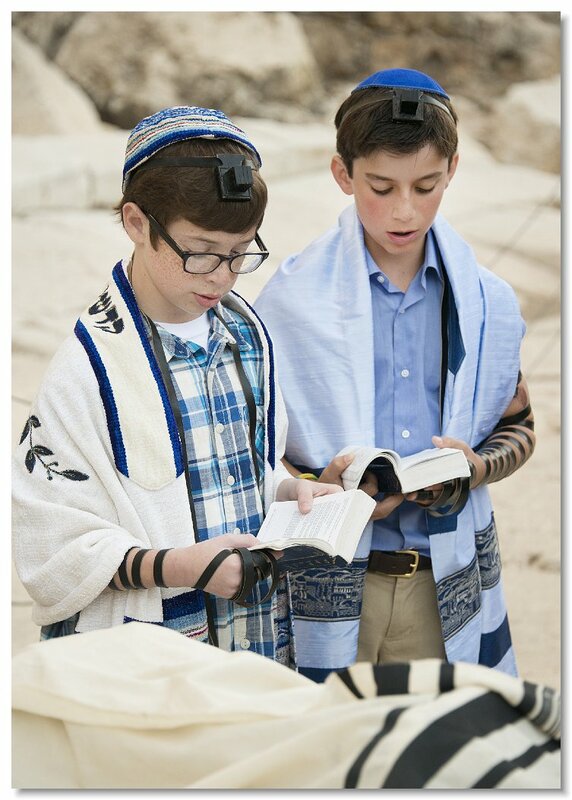 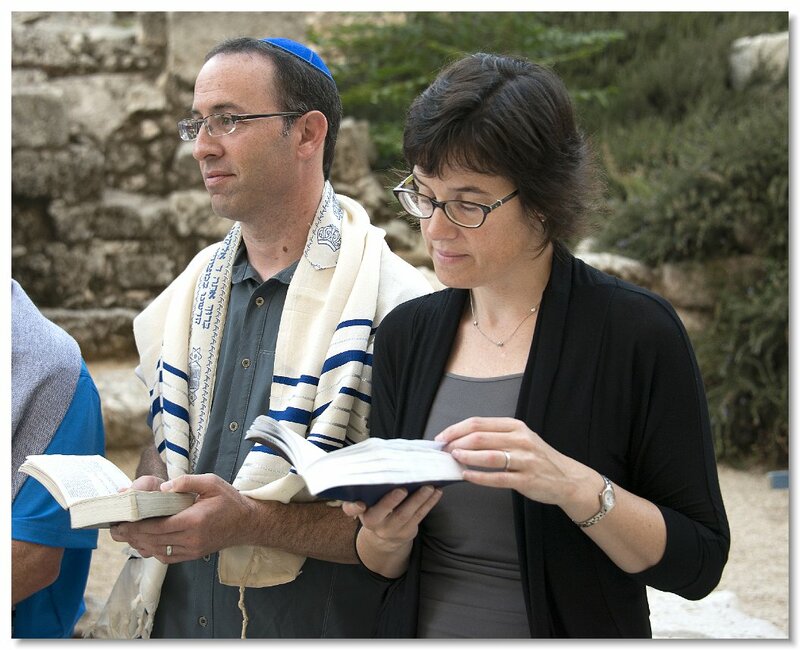 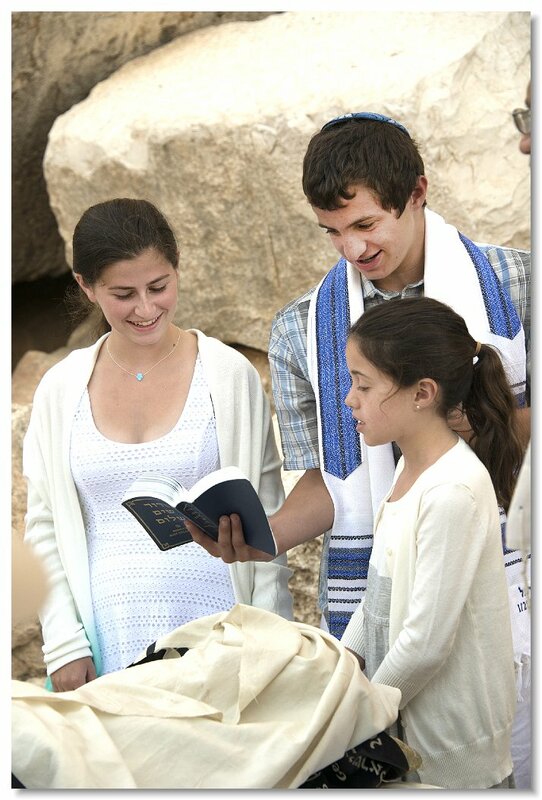 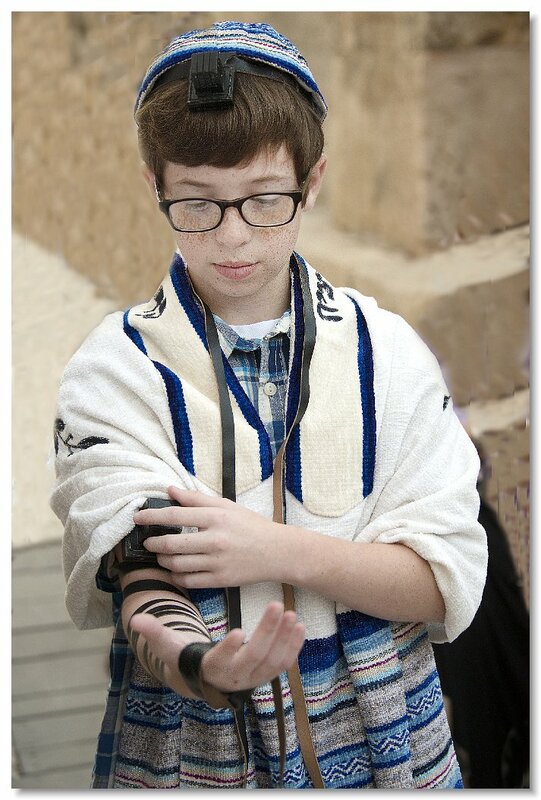 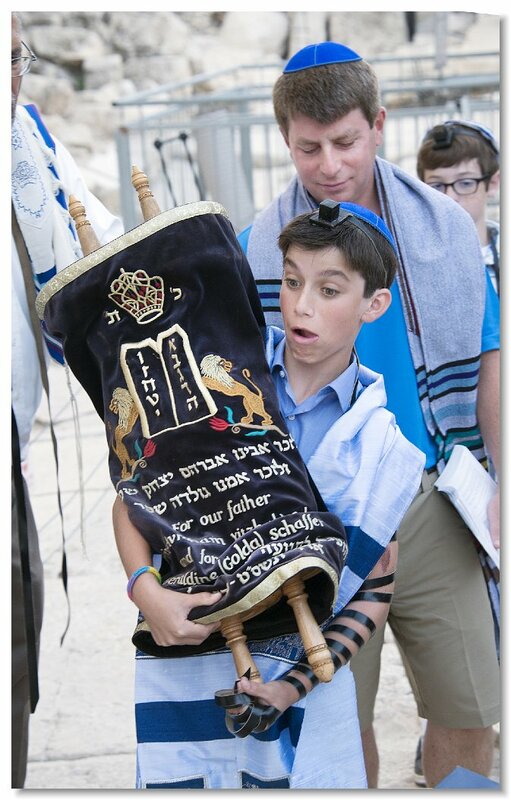 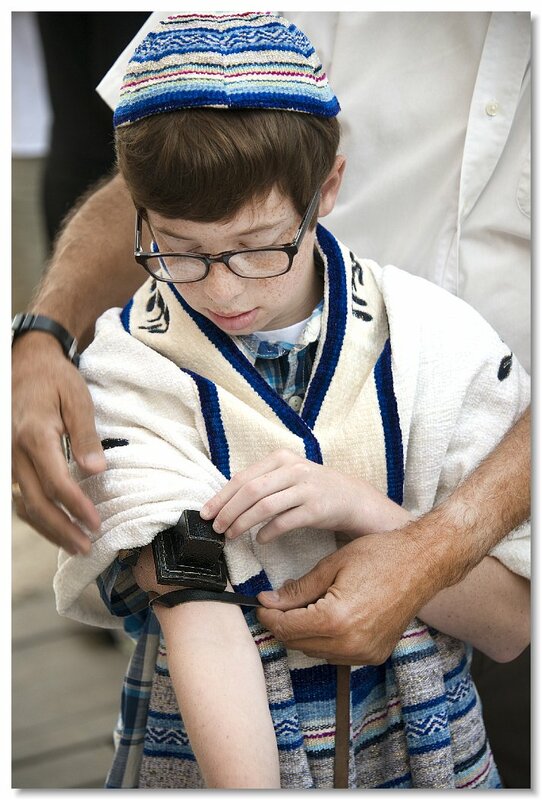 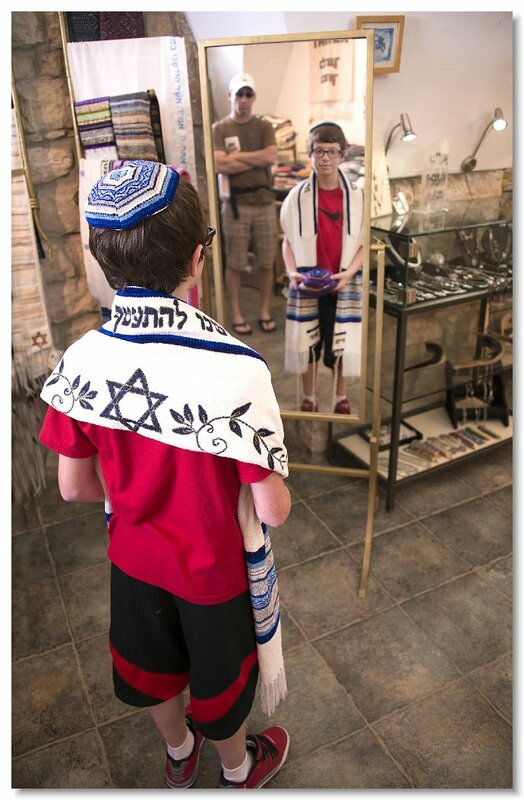 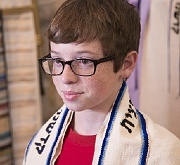 Jordan reads from the Torah for the first time, his Bar Mitzvah. 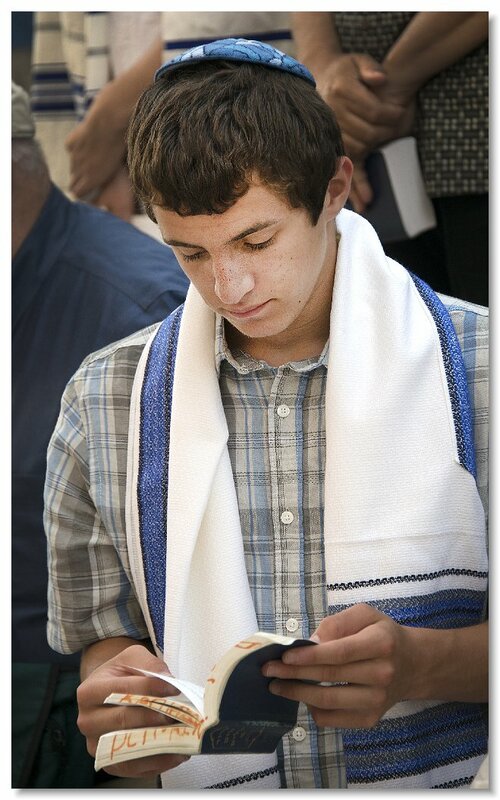 Jordan reads his own essay telling about about the portion of the Torah he has read from and his views of it. 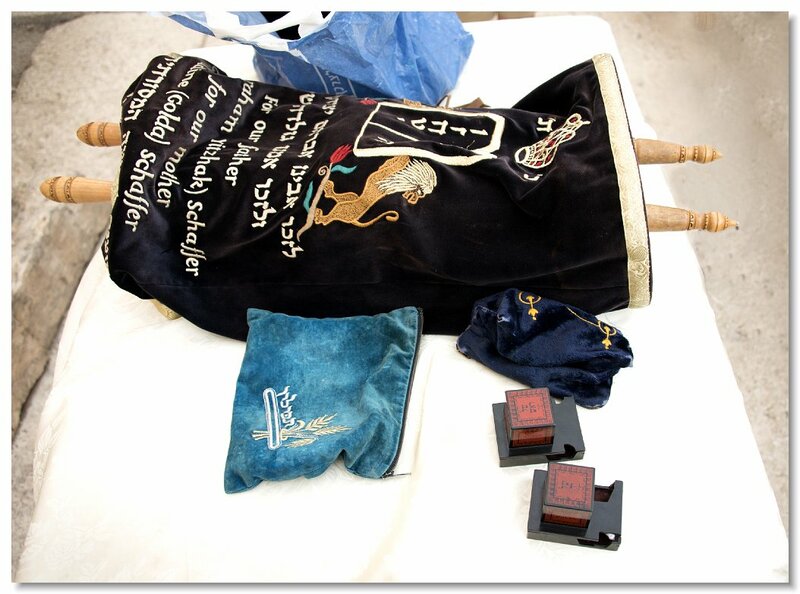 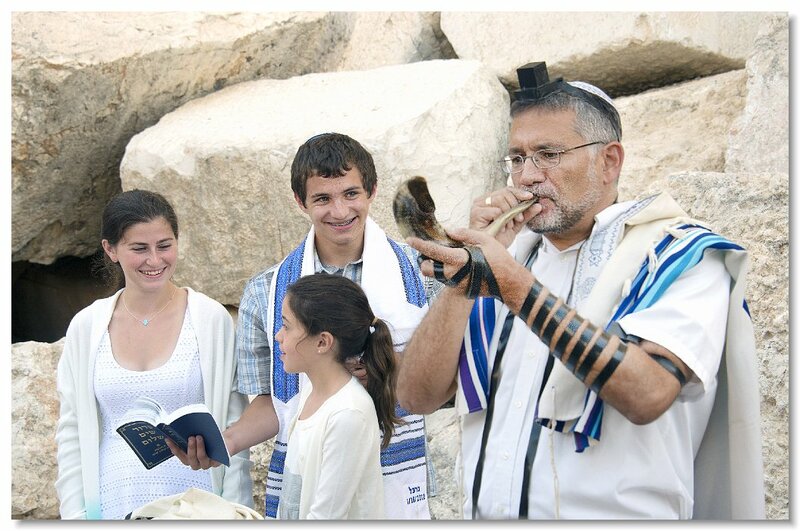 The Shofar is sounded signaling the end of Bar Mitzva ceremonies. 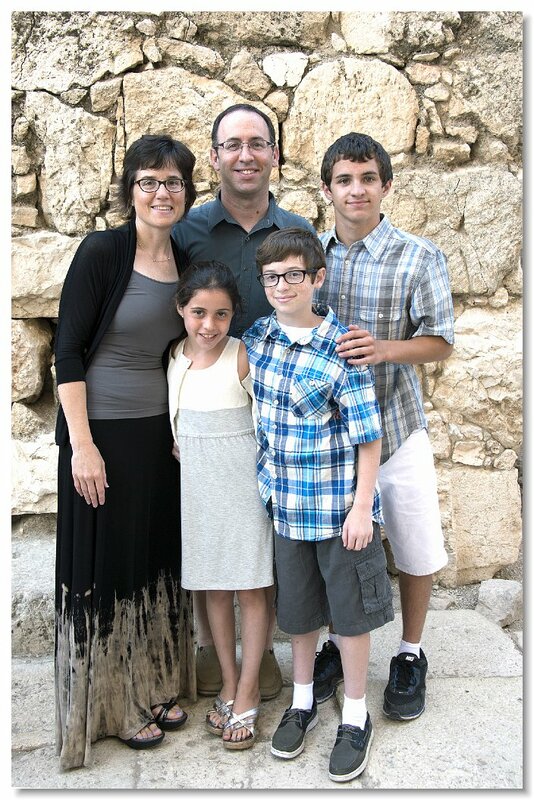 Now is the time for family photos.